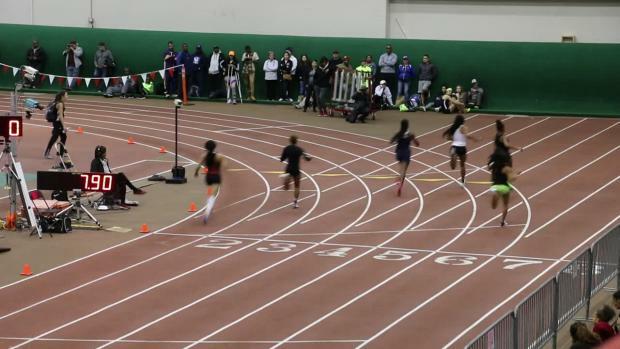 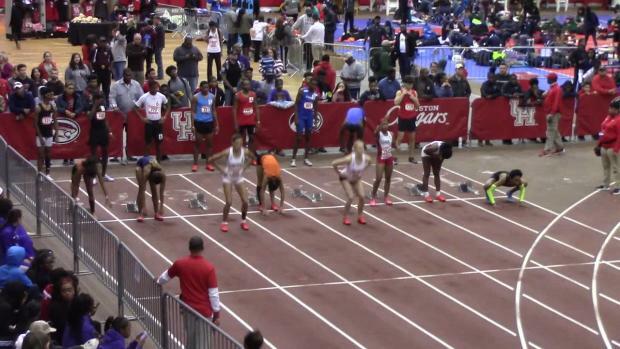 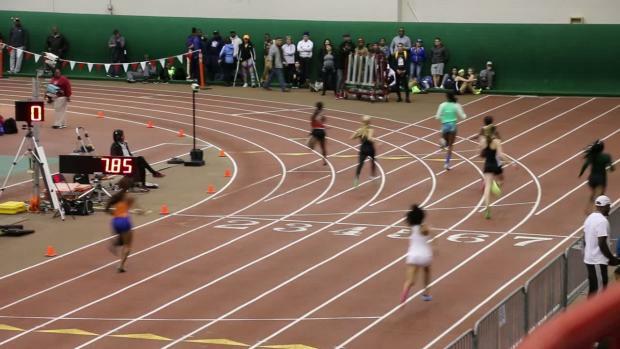 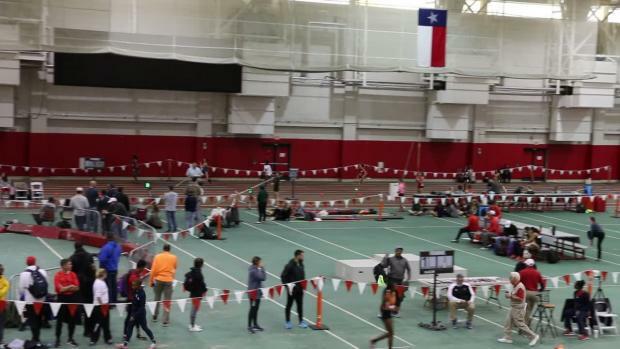 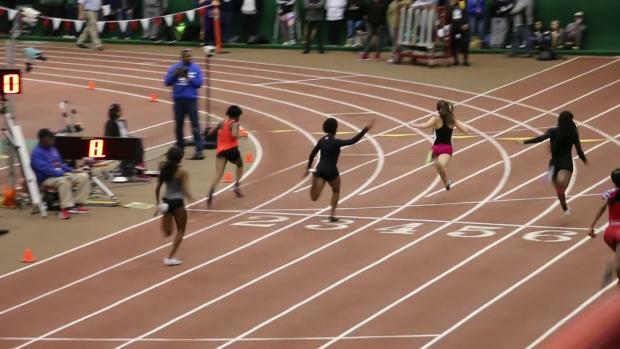 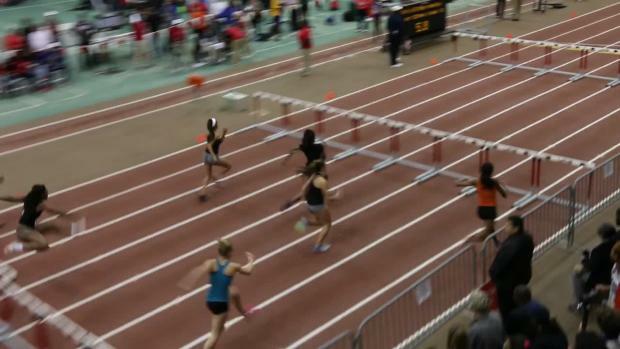 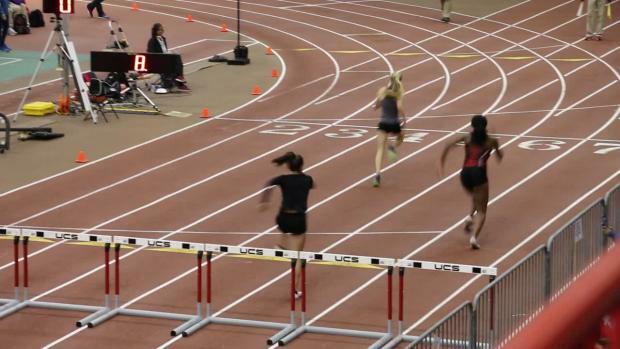 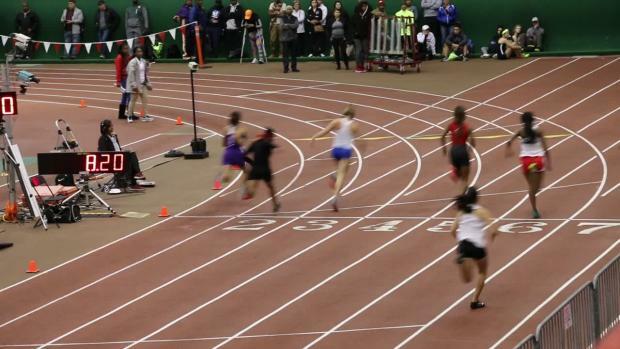 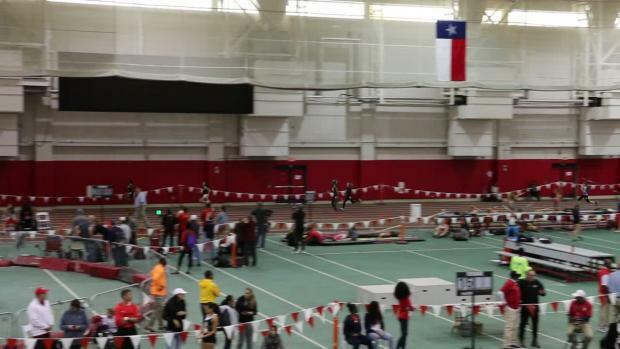 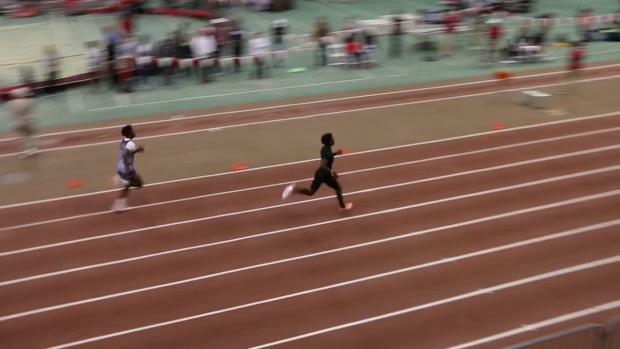 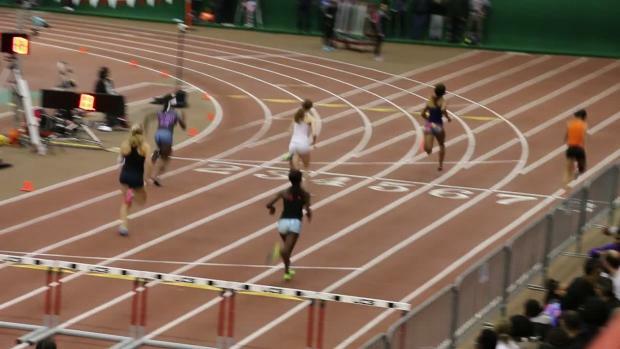 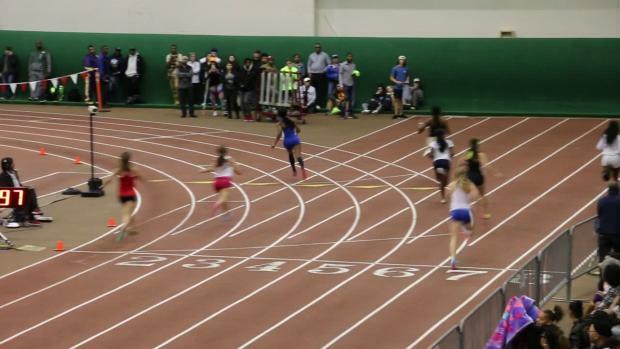 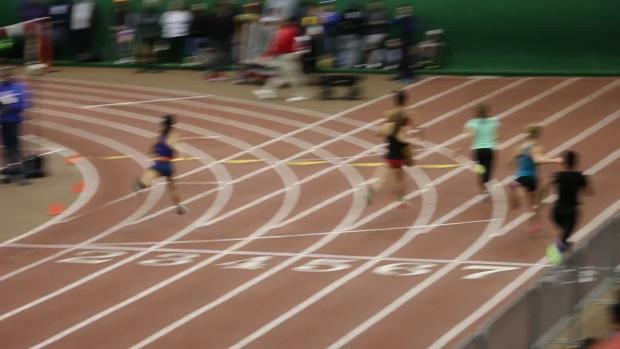 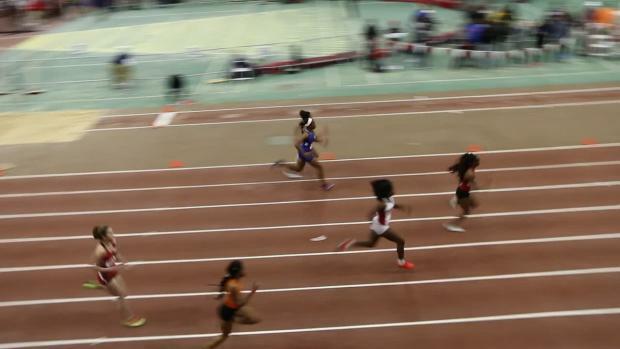 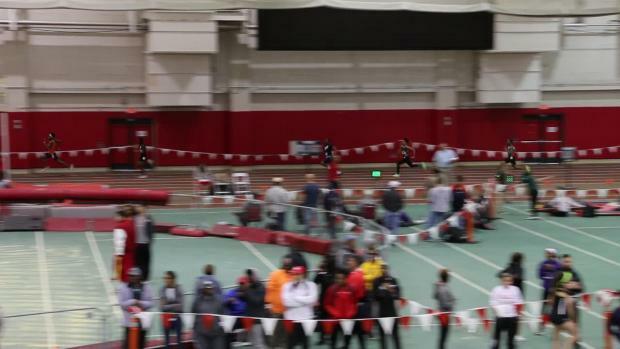 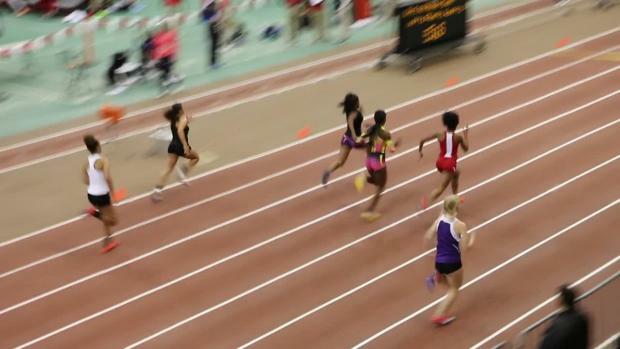 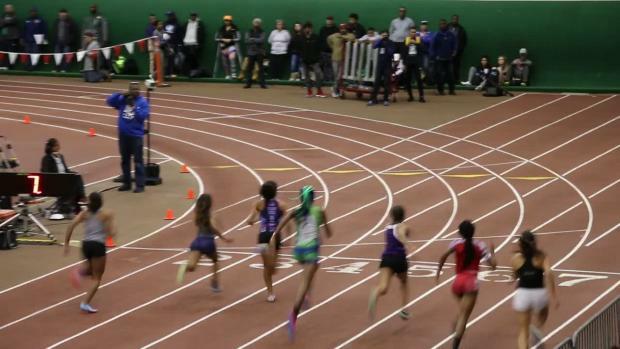 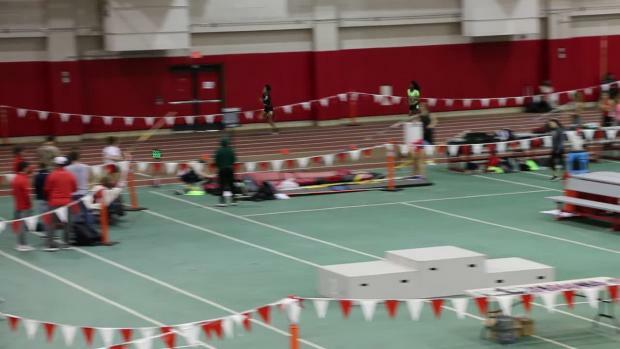 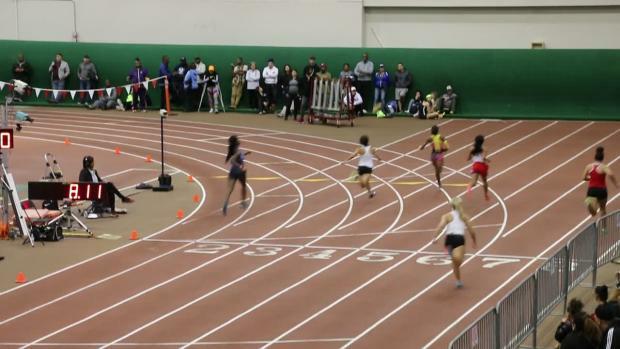 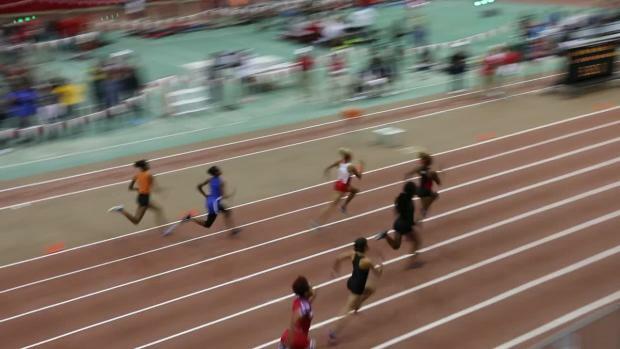 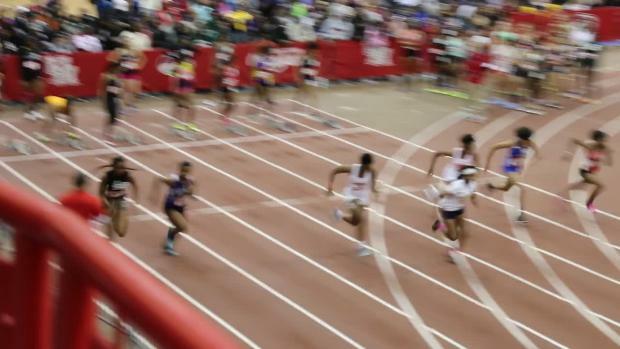 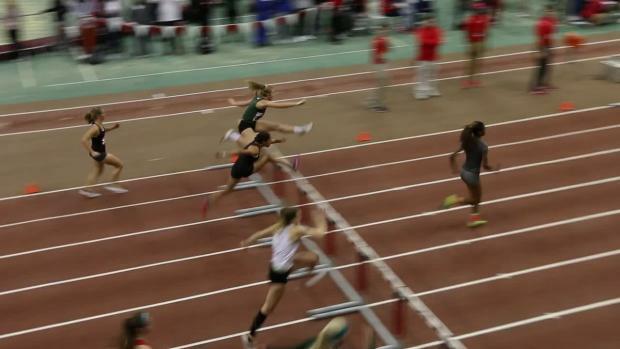 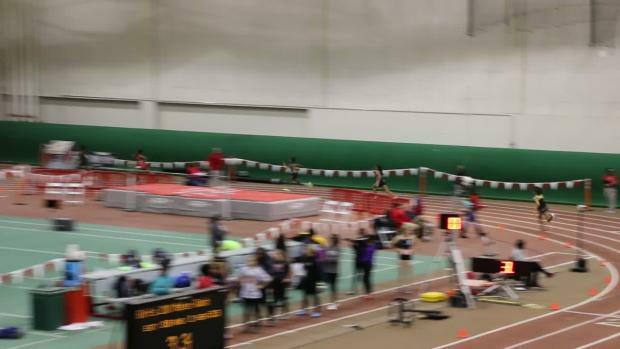 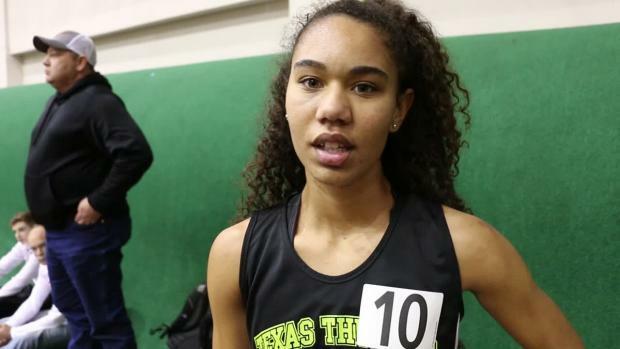 Emily Sloan continued her rampage on the 2018 track season, capping her day at the Carl Lewis Invitational in Texas with a dominating 8.52 win. 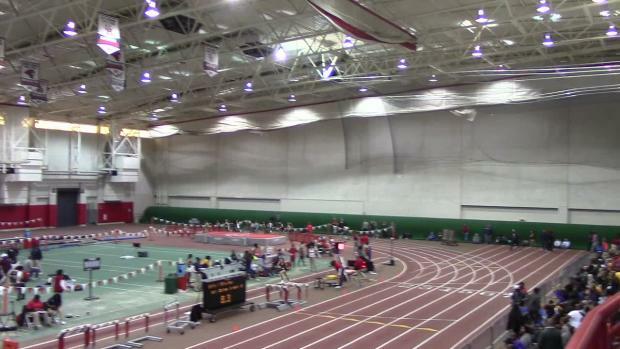 Keep up with all of the action going on this weekend minute by minute. 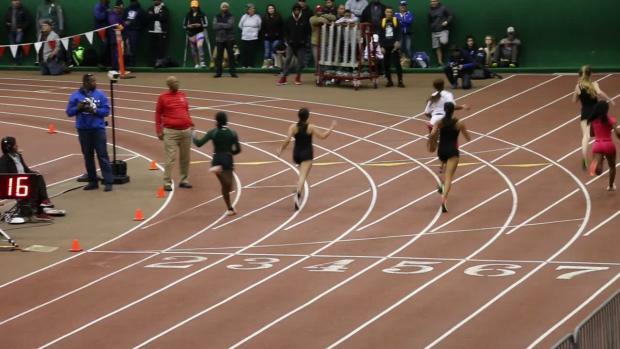 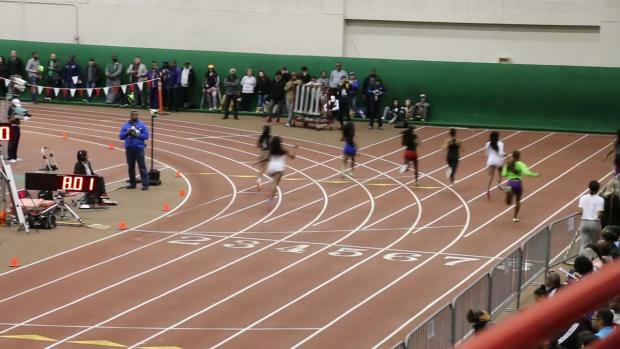 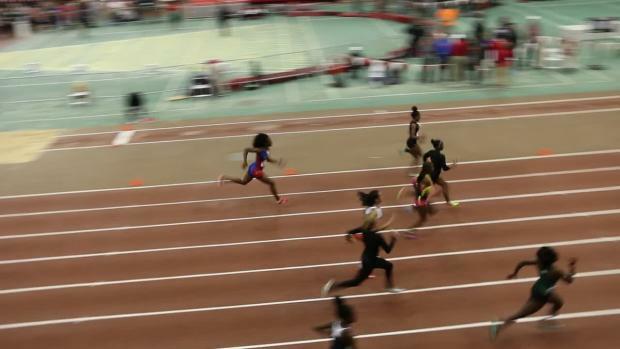 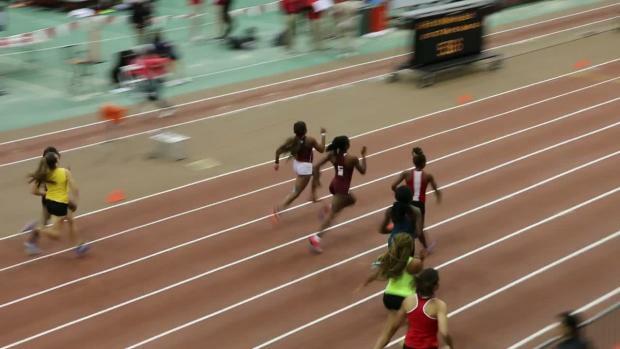 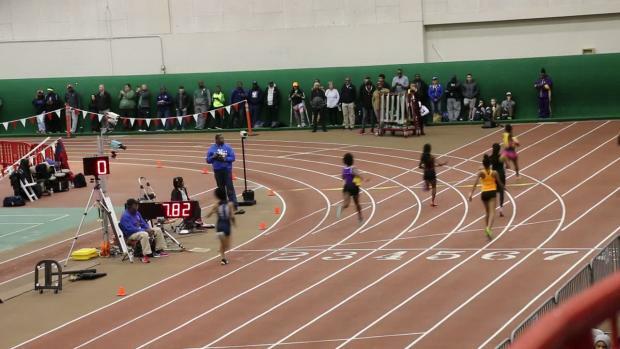 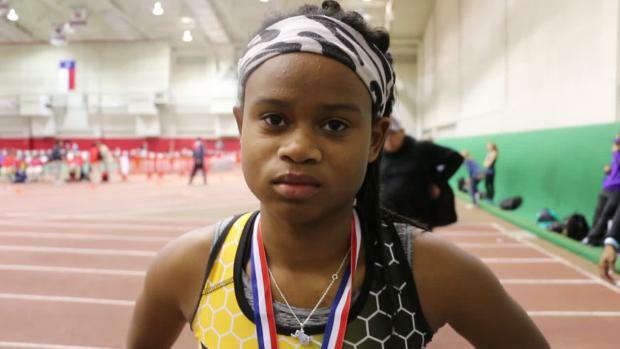 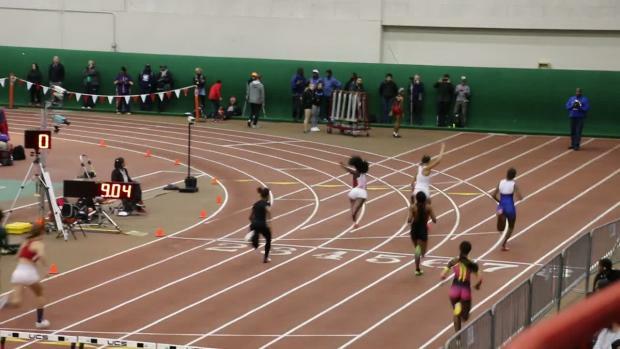 De'Aria Smith guided the Miami Killian girls to a strong showing at the Carl Lewis Invitational, while STA's Zahria Allers also had success in the sprints. 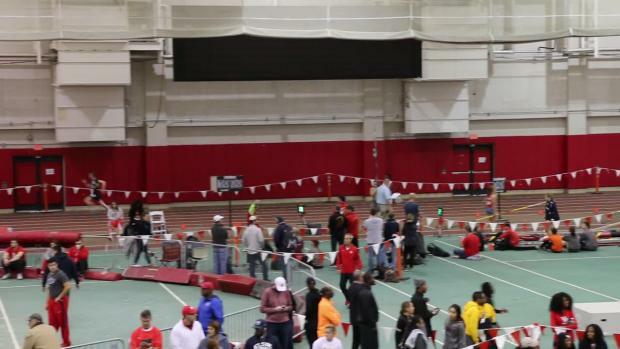 Compare and contrast the all-time lists of both meets. 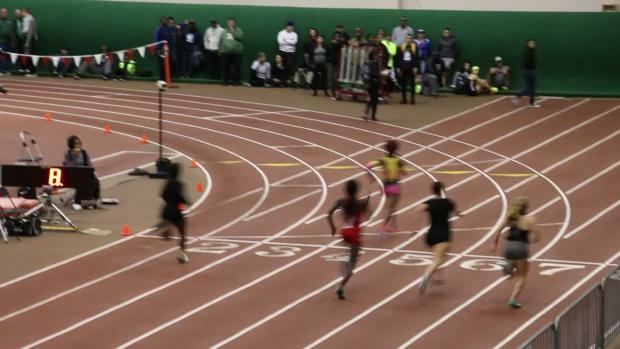 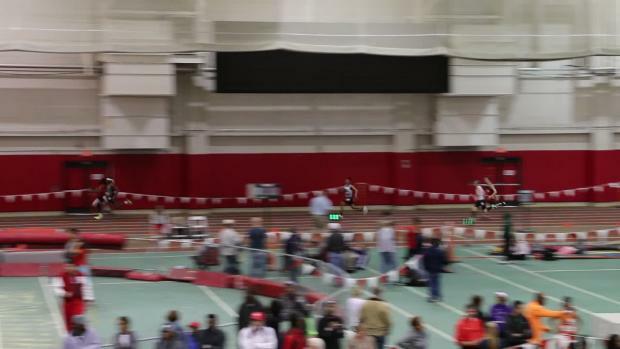 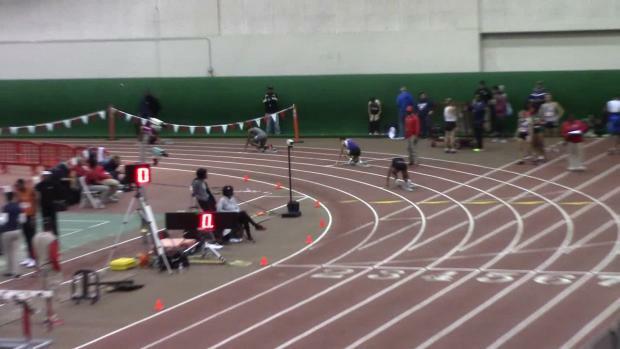 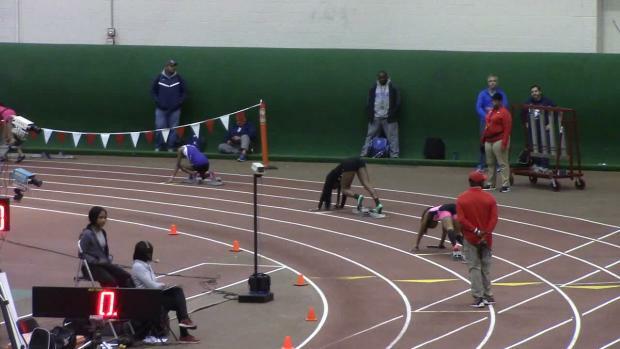 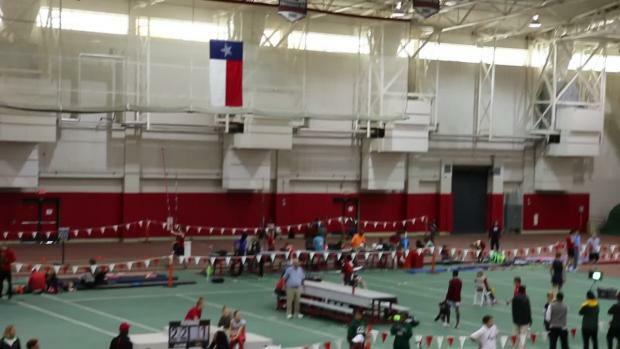 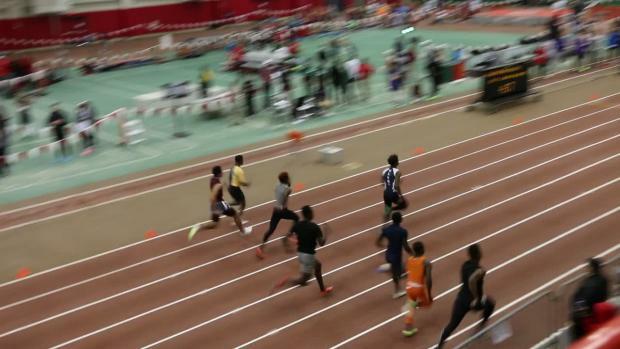 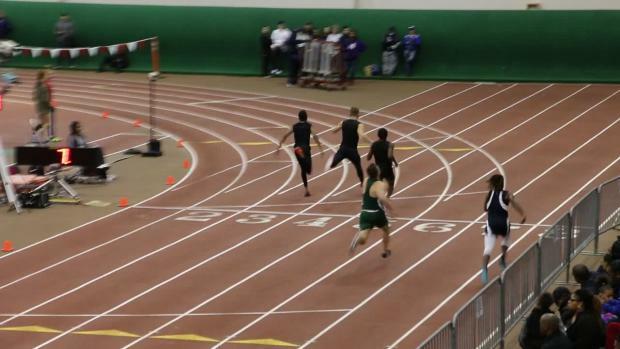 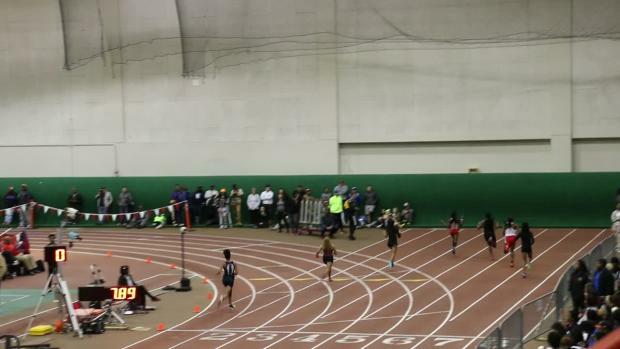 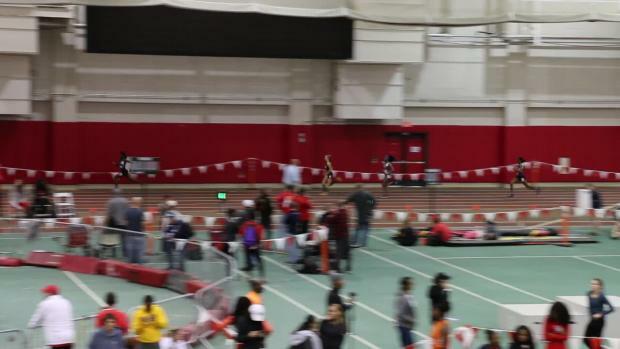 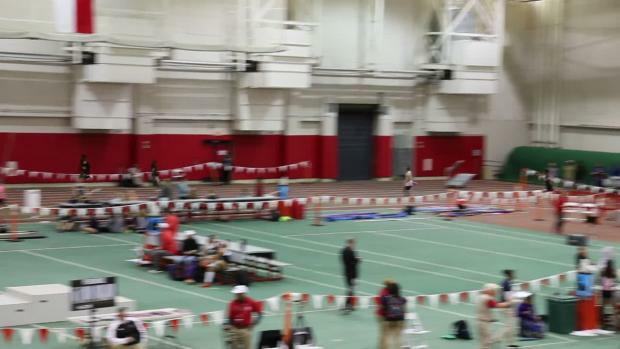 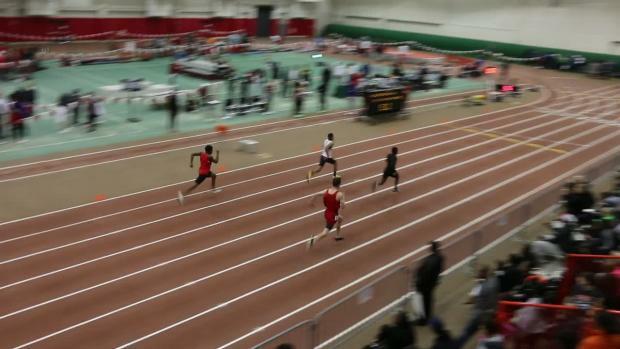 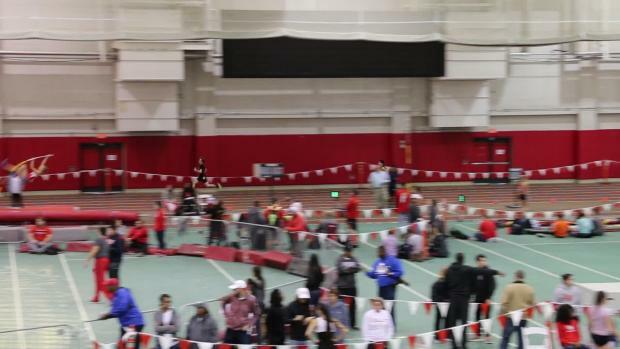 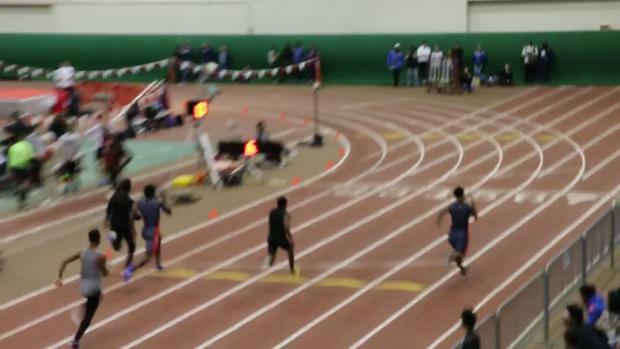 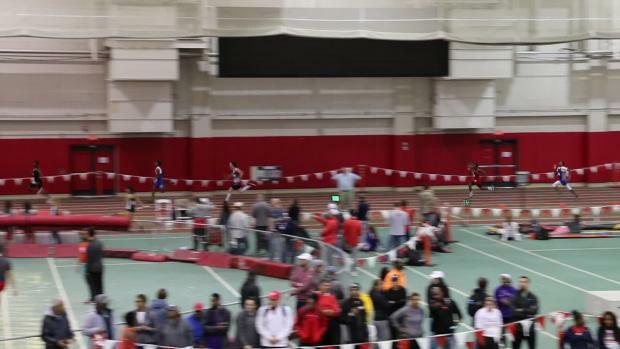 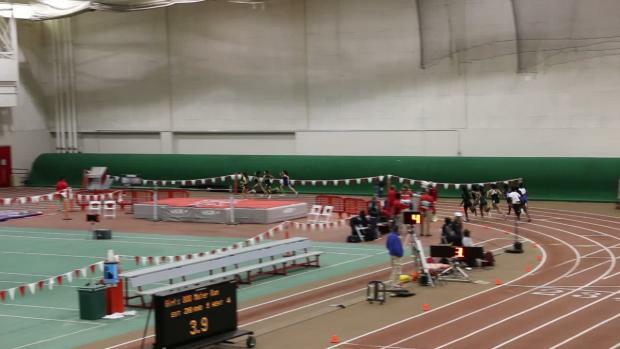 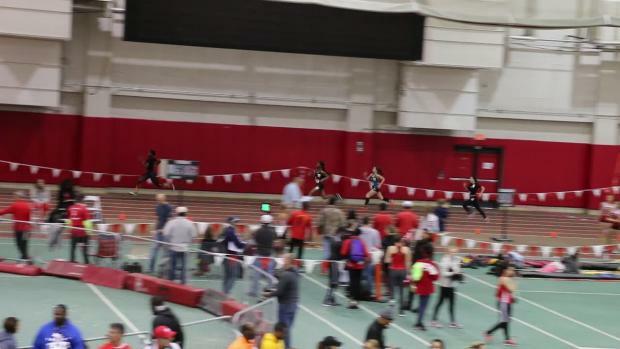 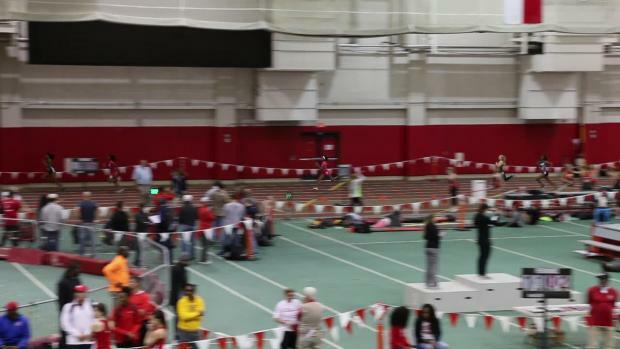 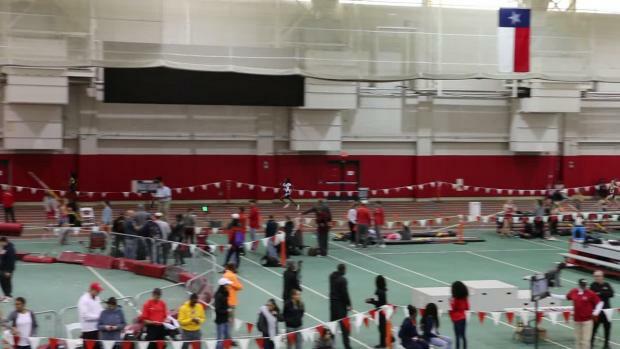 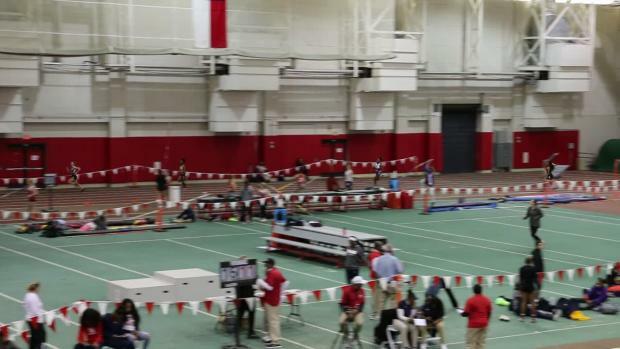 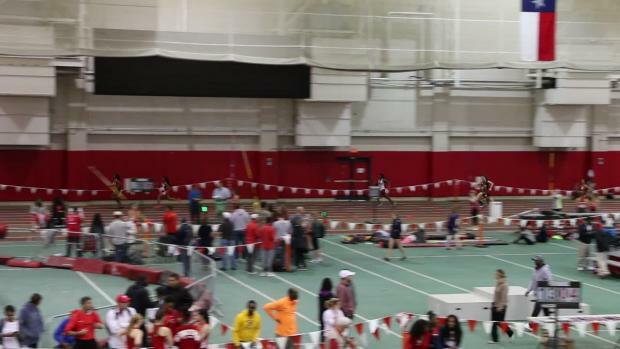 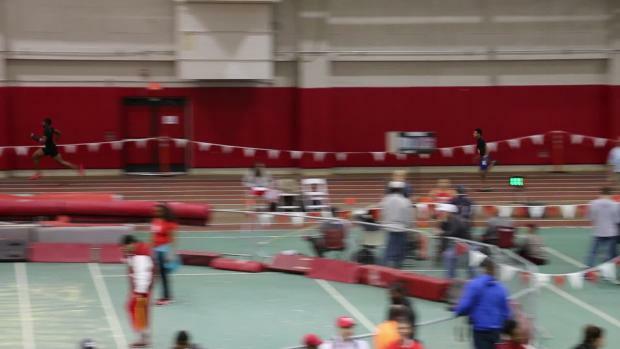 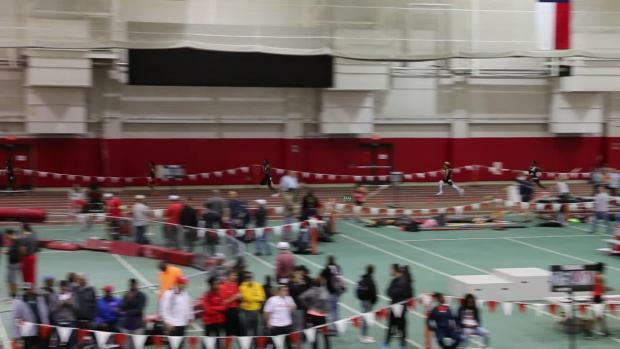 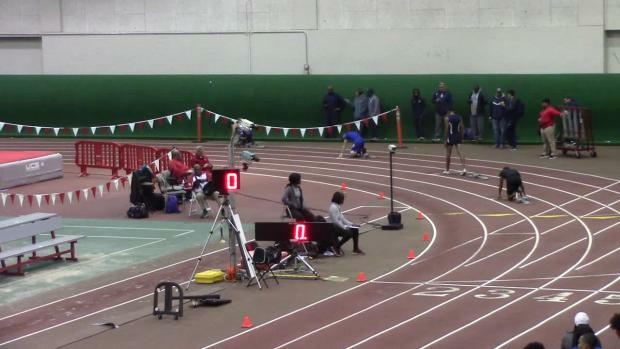 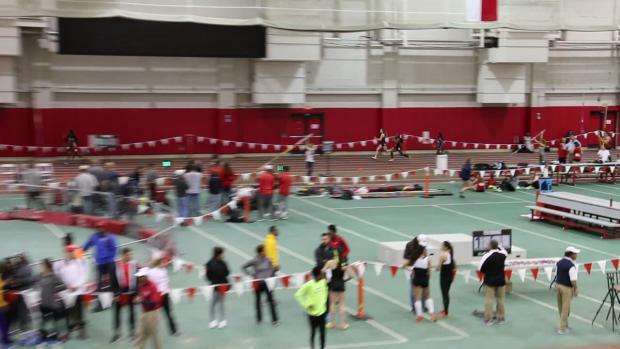 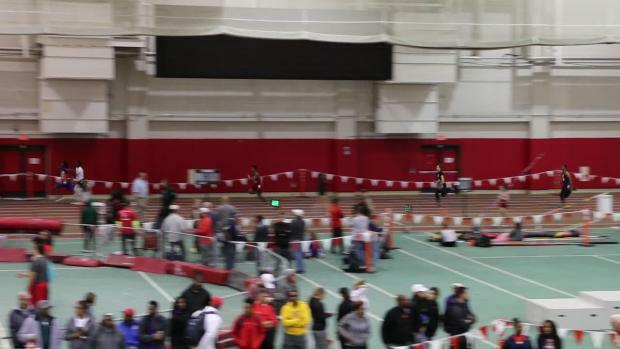 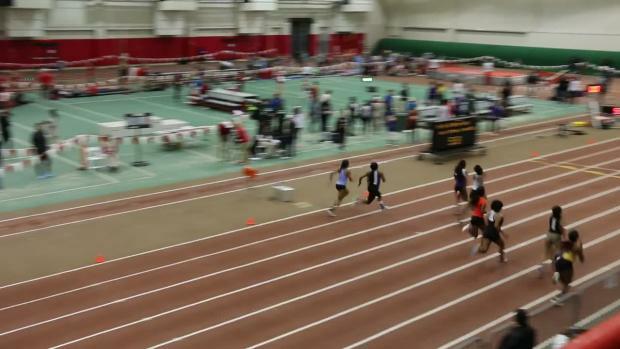 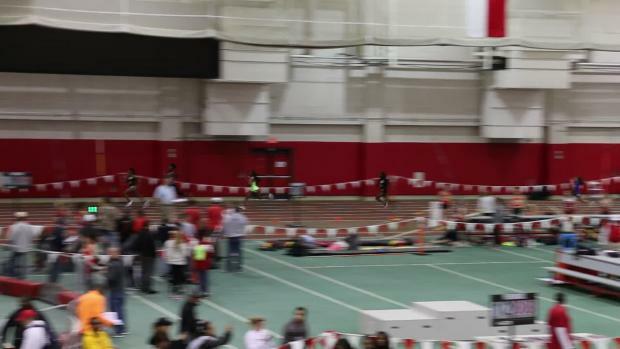 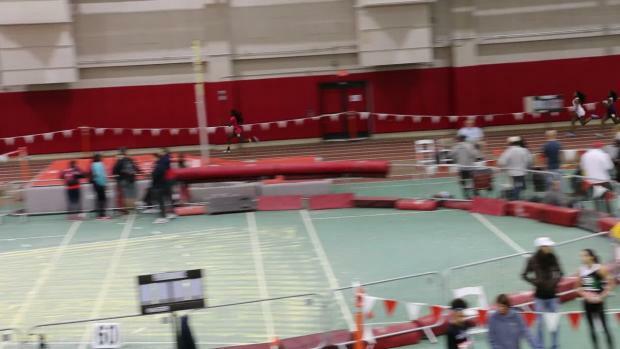 Jais Smith took the field to school in the 60m. 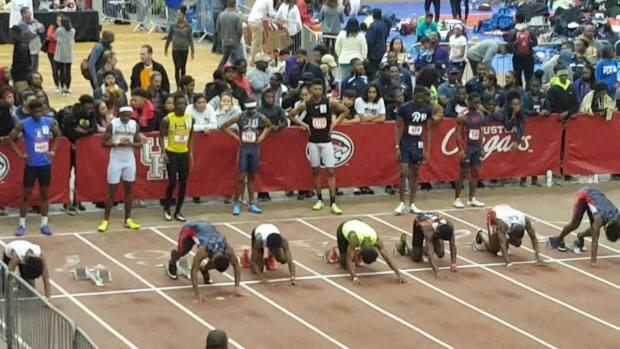 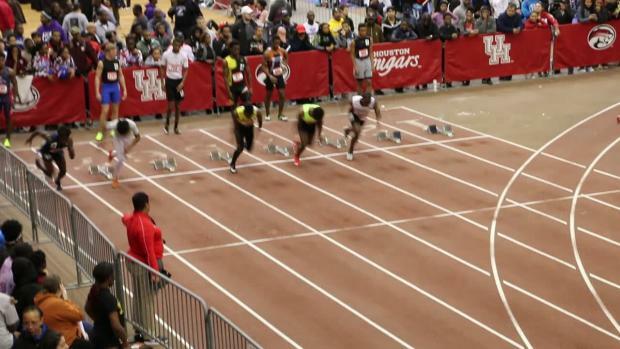  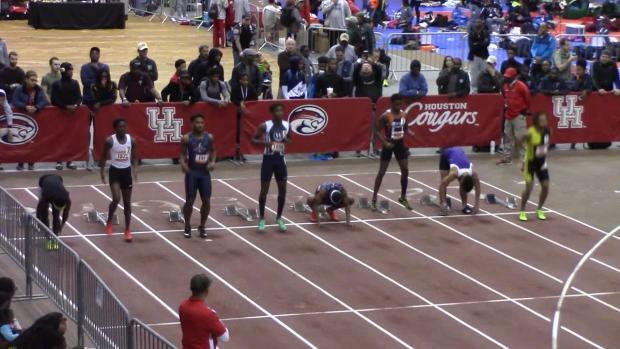  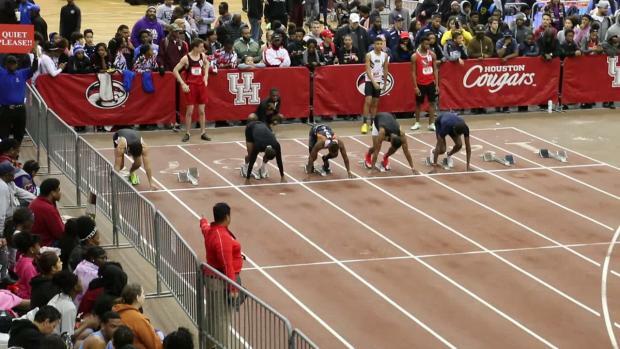 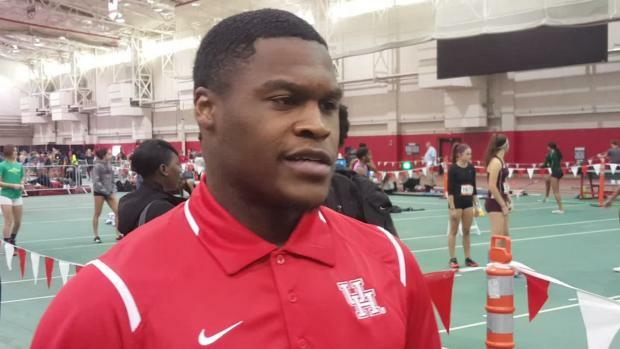 University of Houston sprinter Elijah Hall is one of the NCAA's top sprinters. 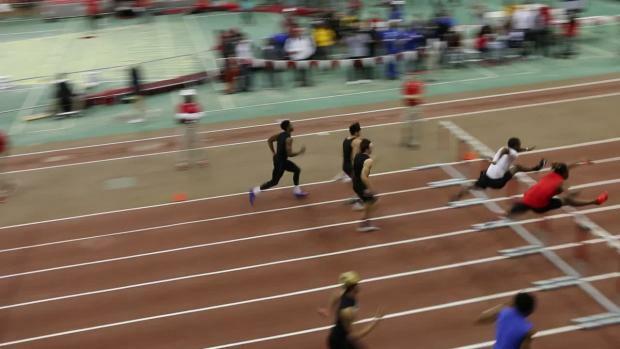 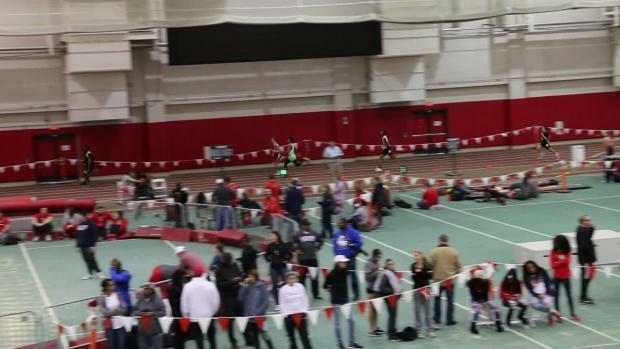 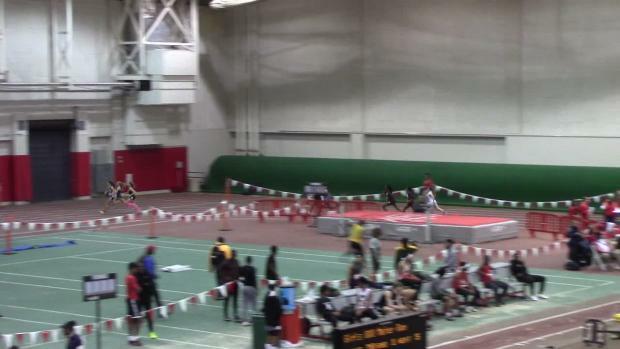 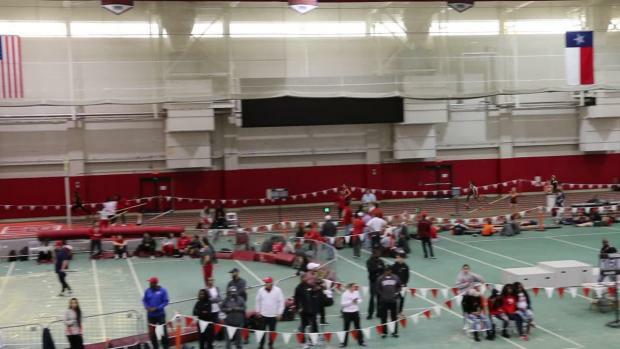 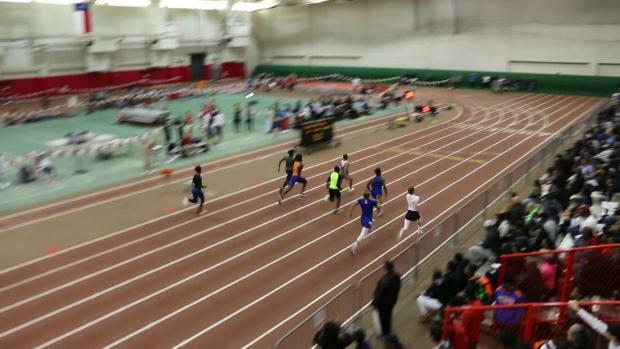 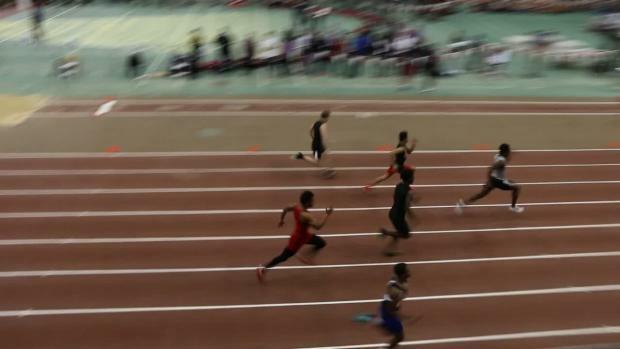 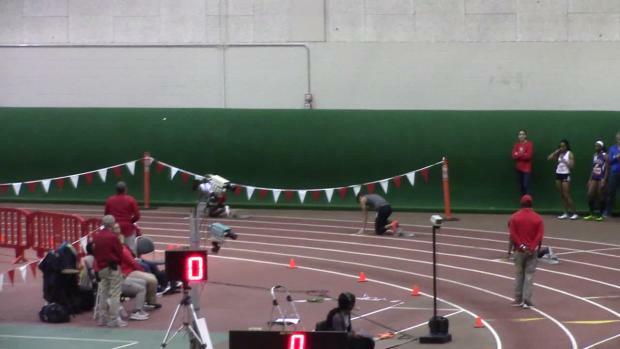 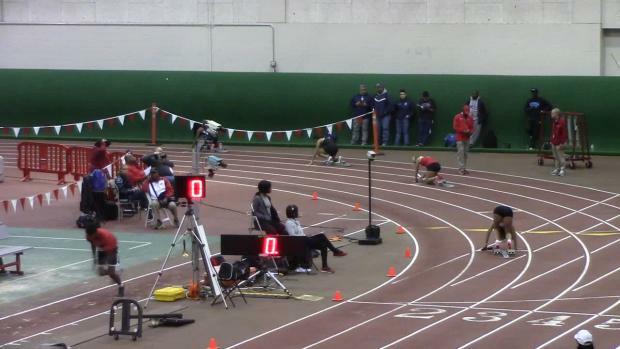 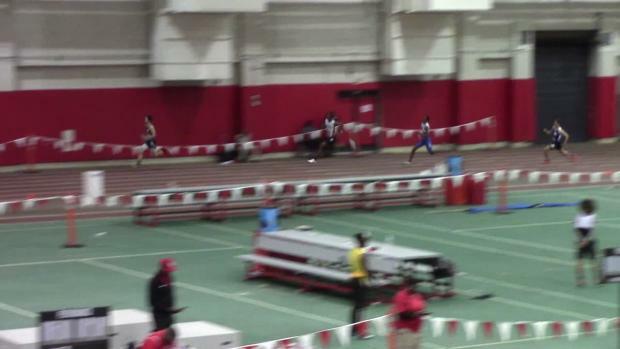 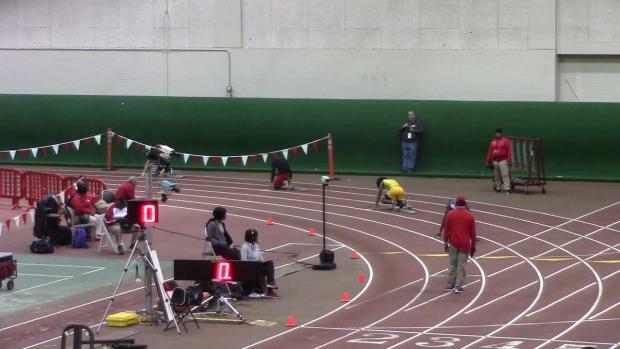 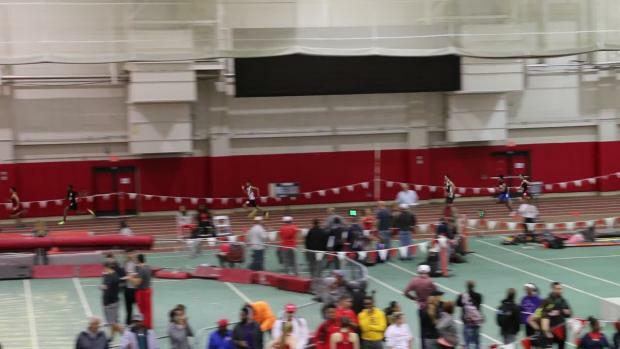 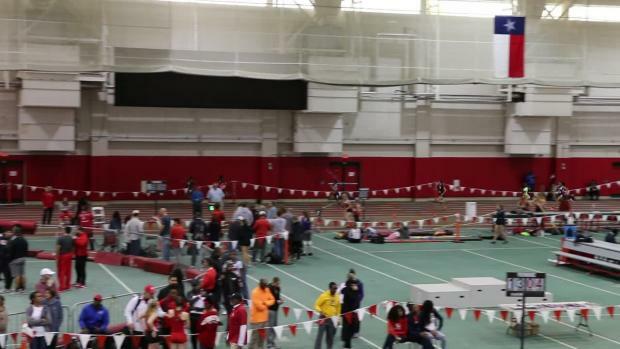 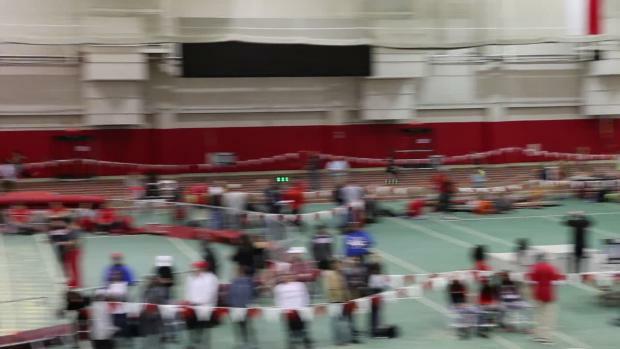 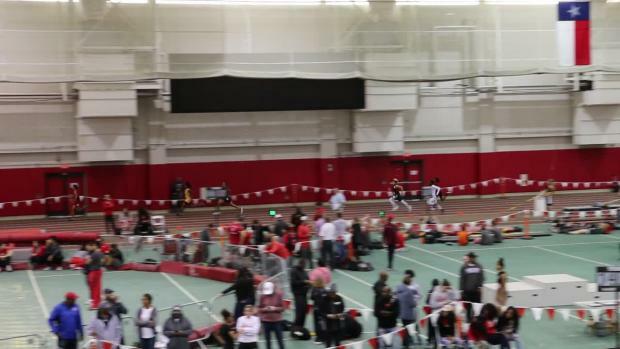 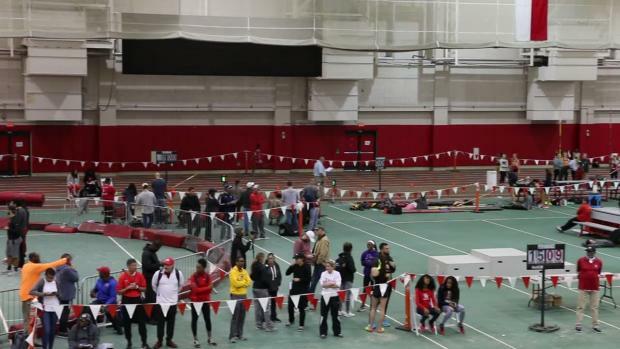 Last weekend, he ran a NCAA leading 6.60 in the 60m. 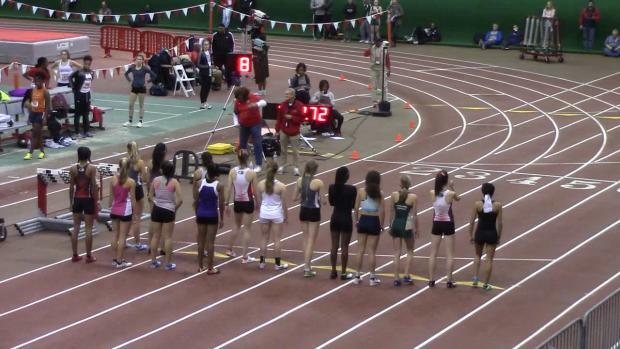 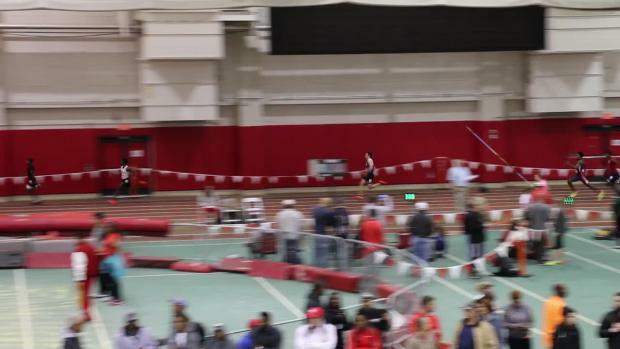 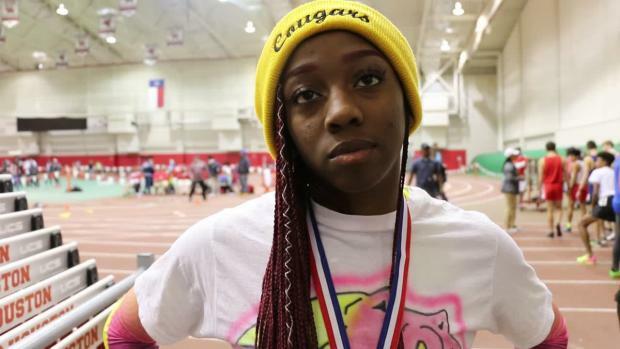 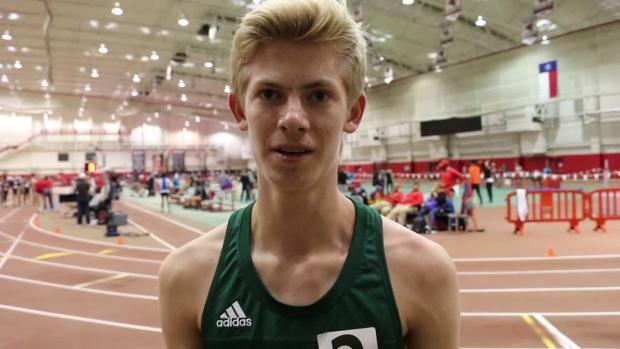 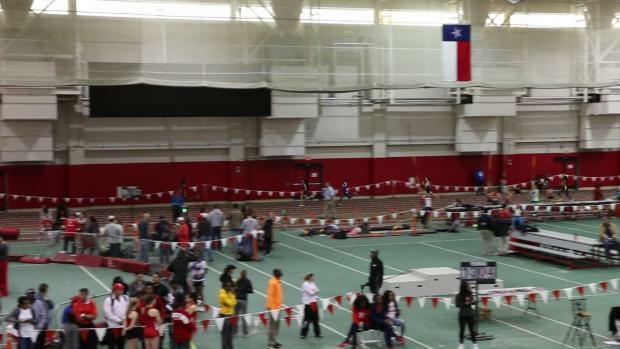 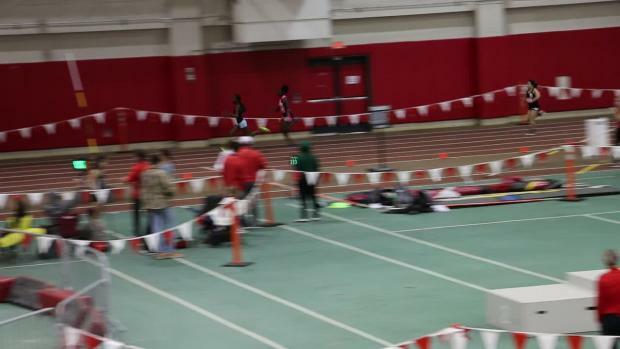 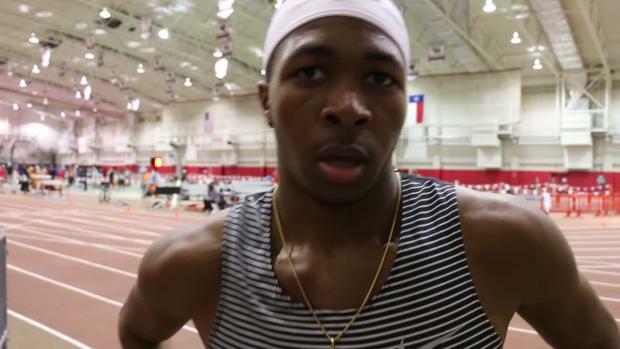 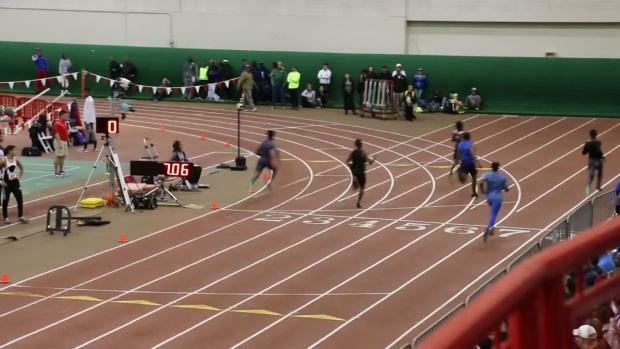 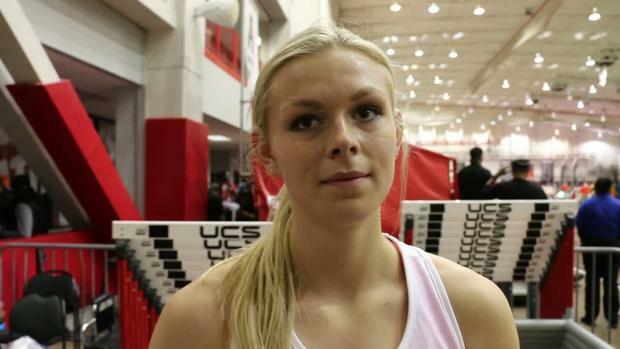 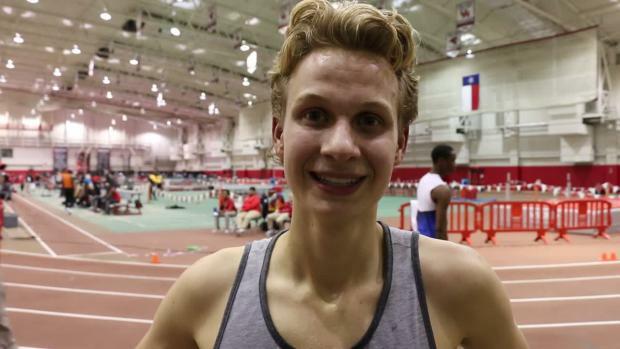 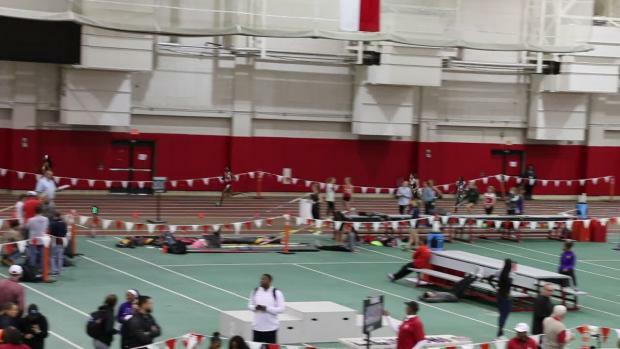 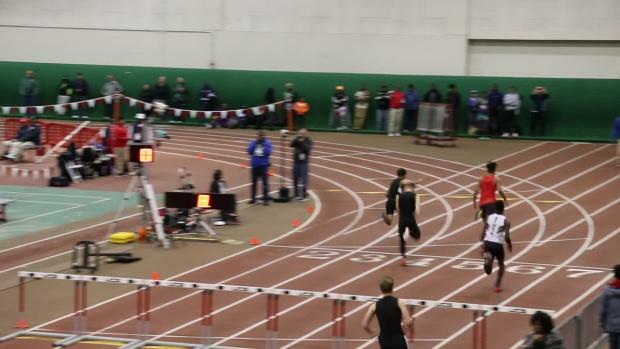 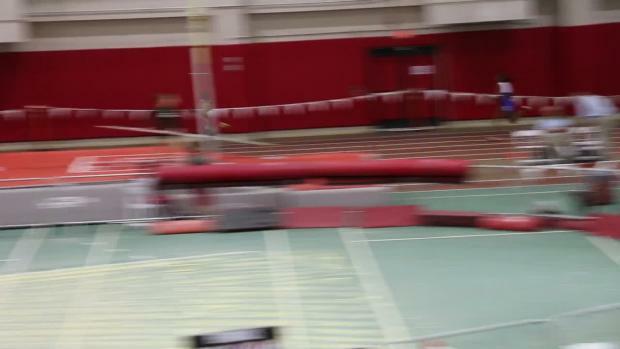 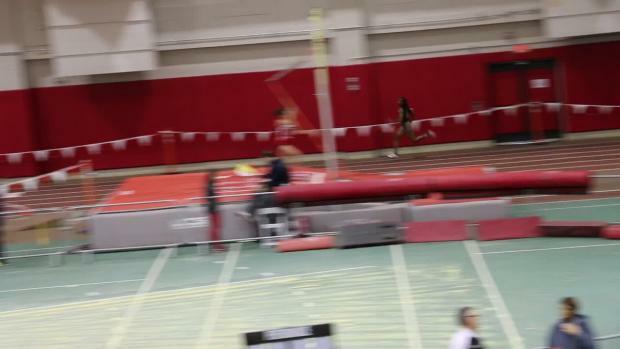 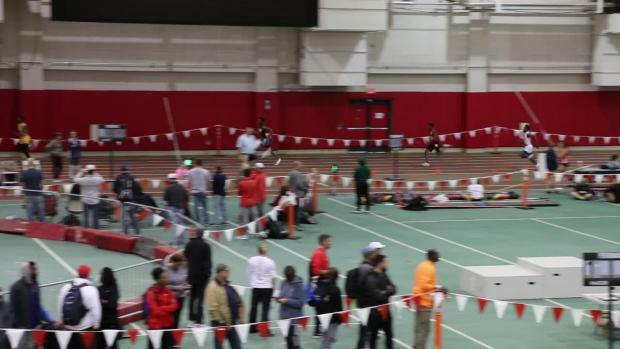 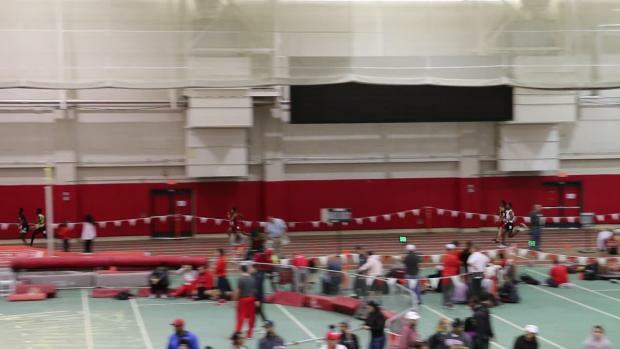 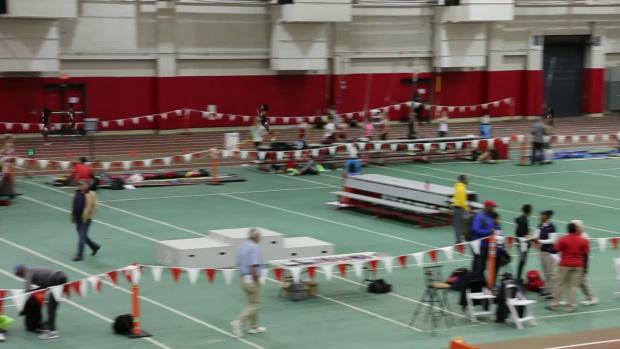 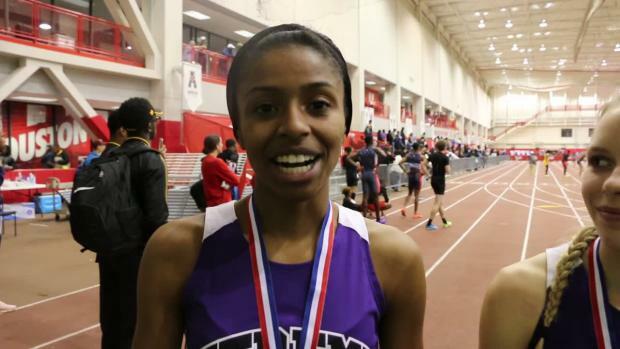 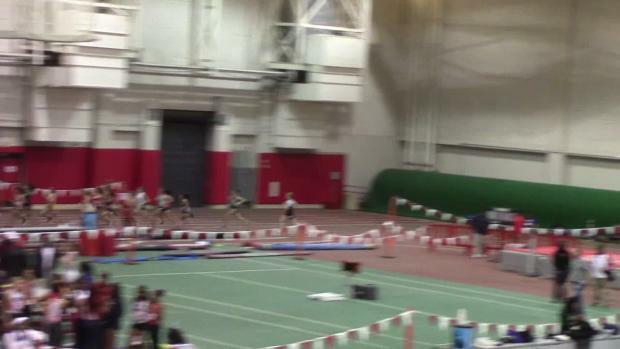 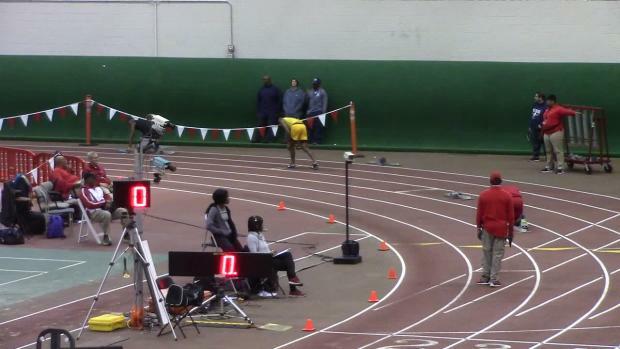 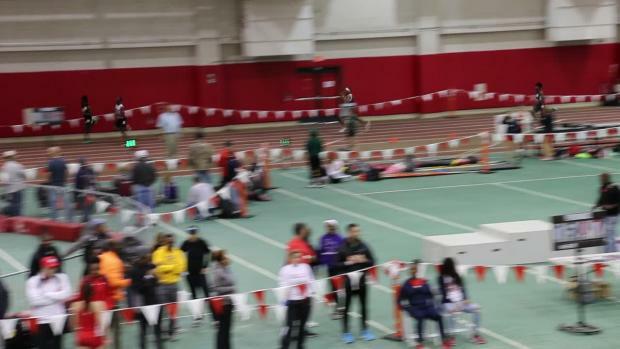 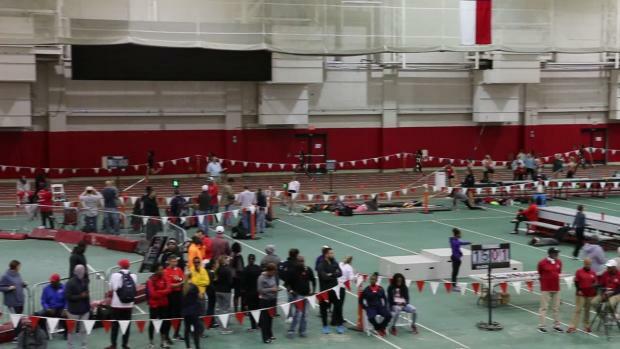 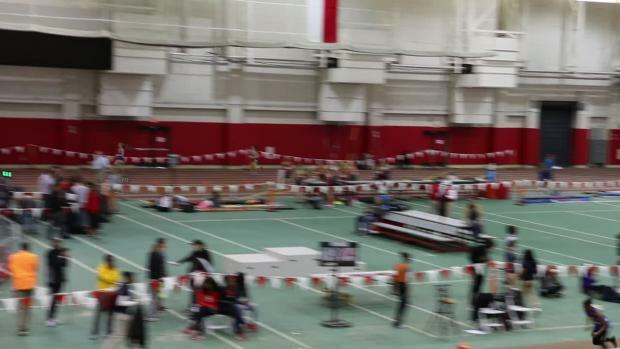 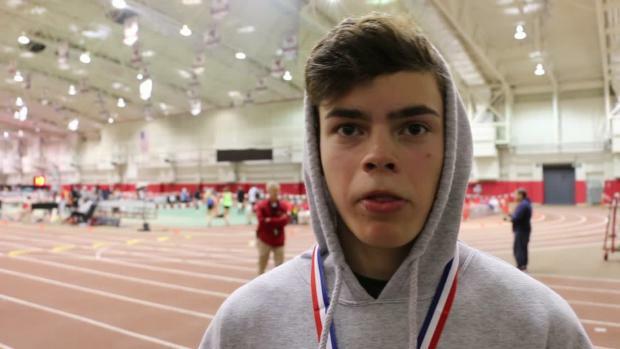 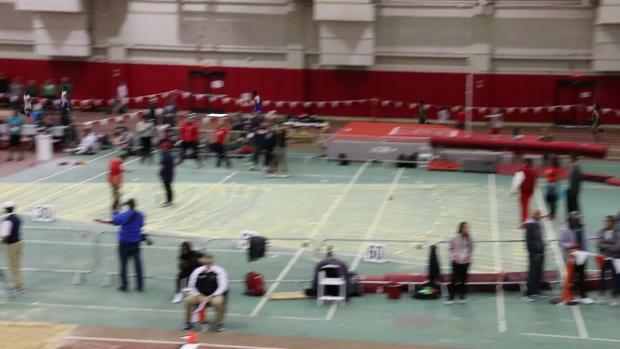 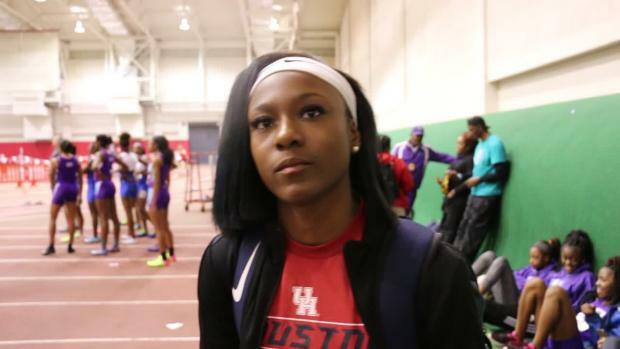 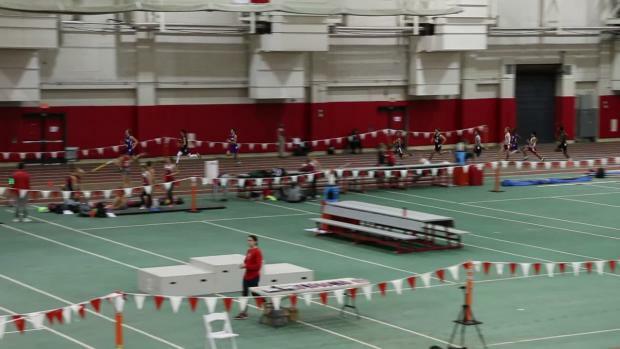 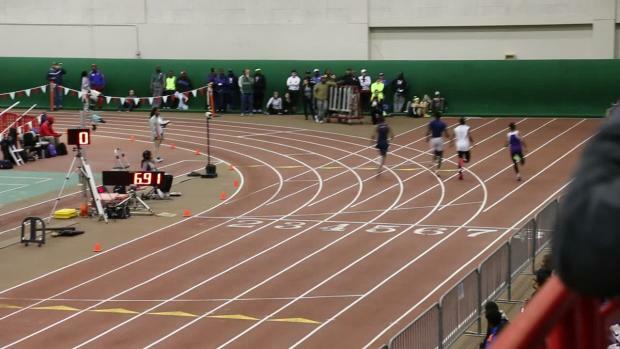 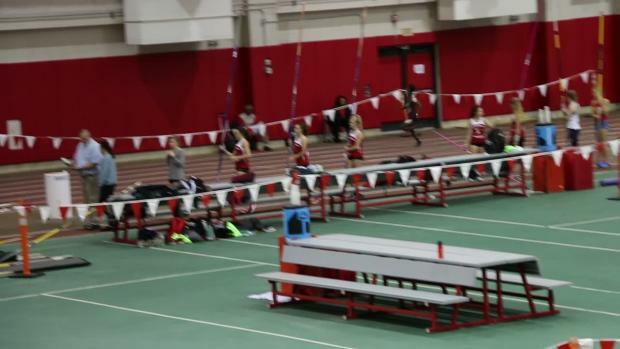 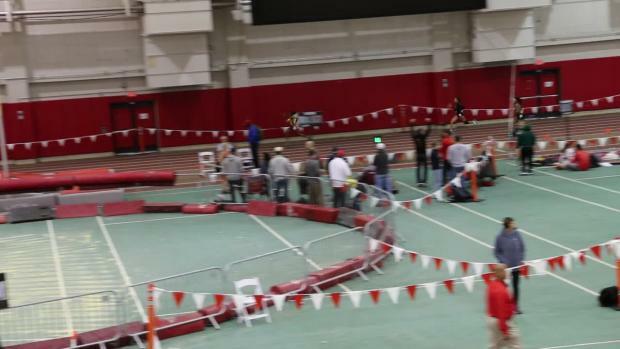 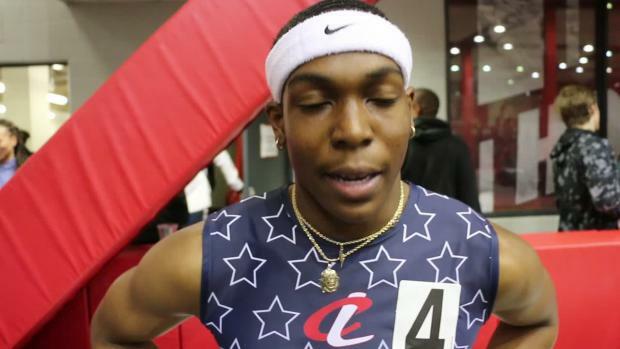 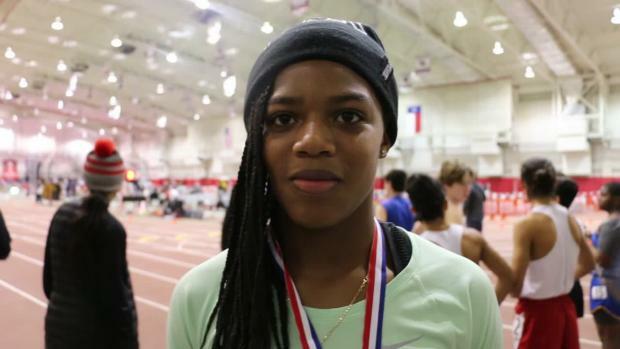 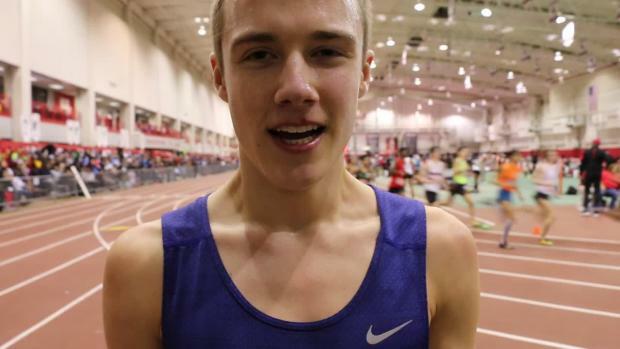 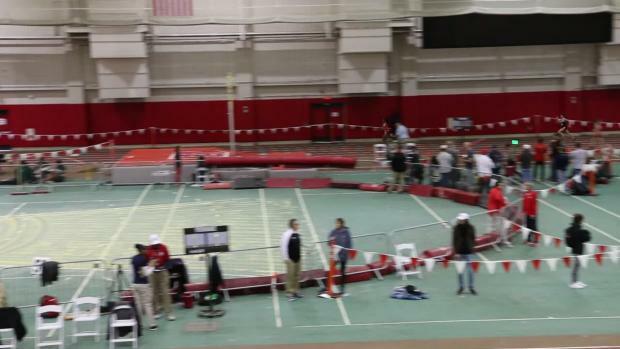 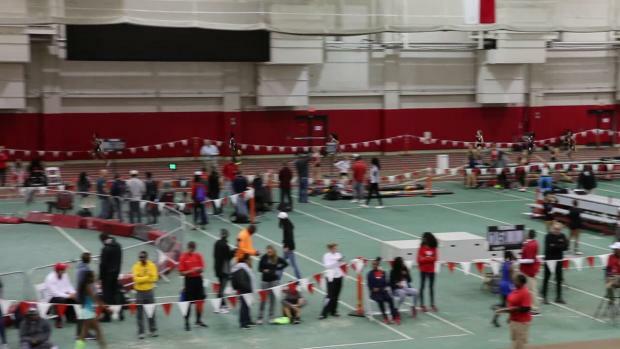 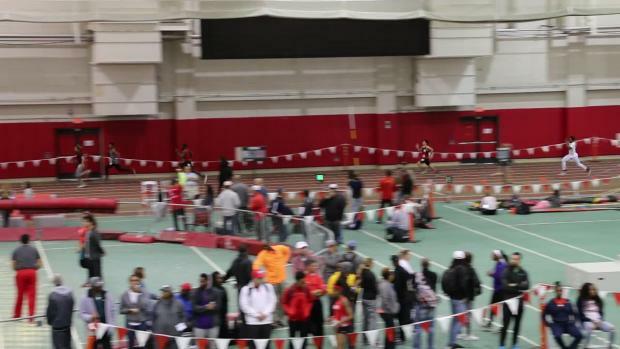 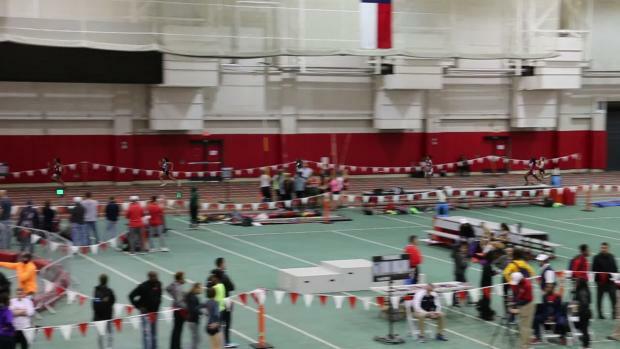 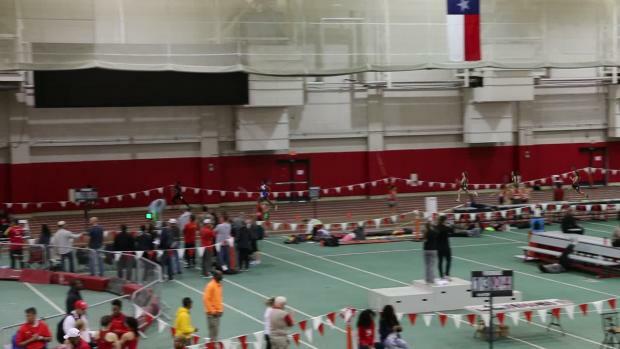 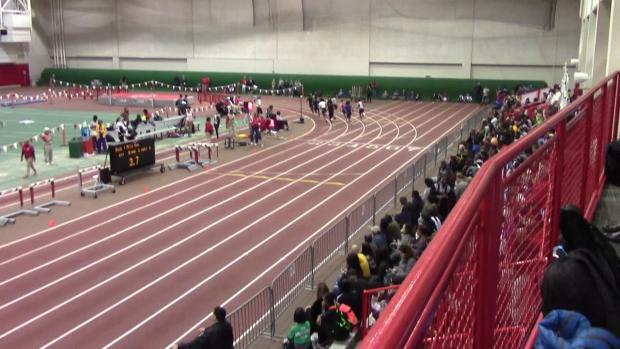 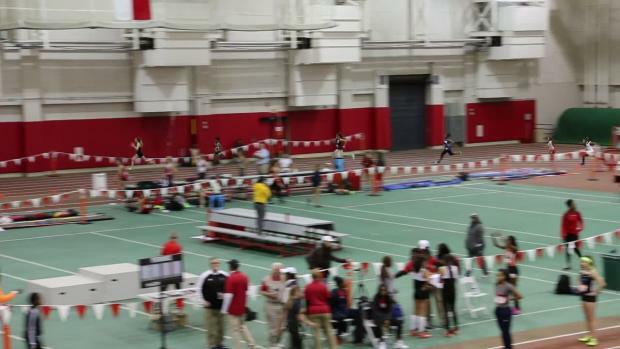 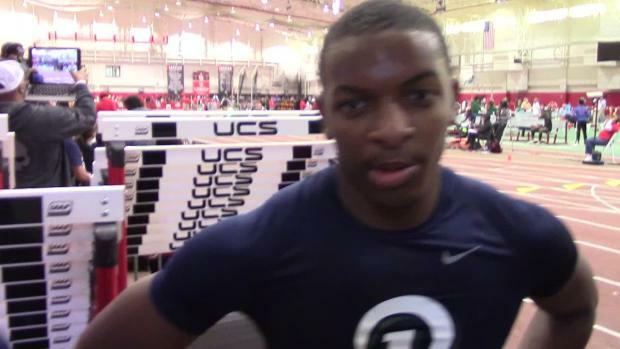 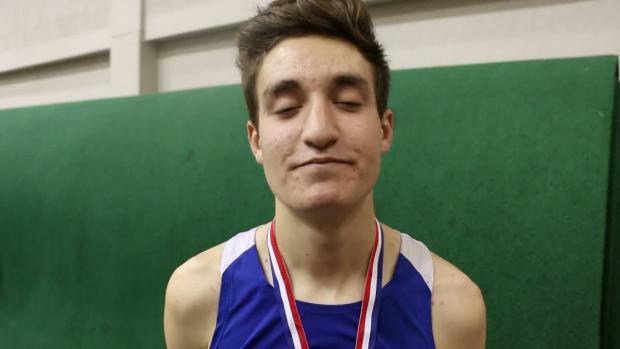 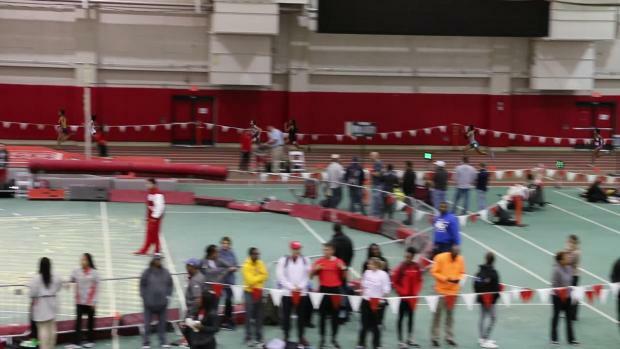 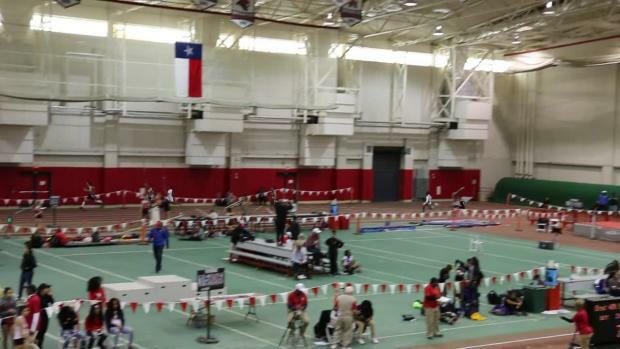 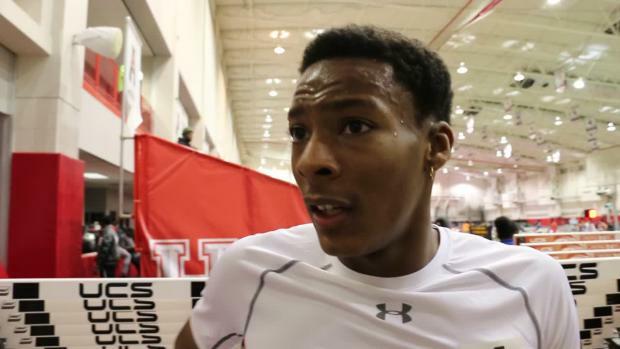 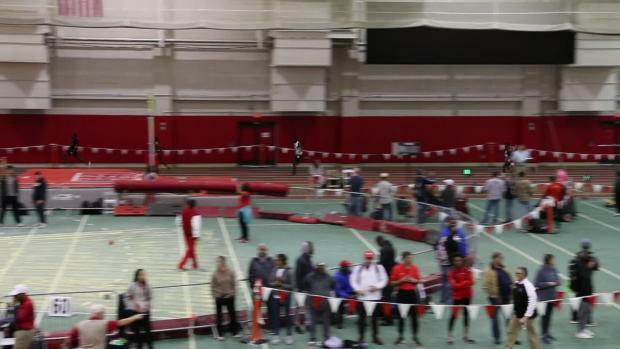 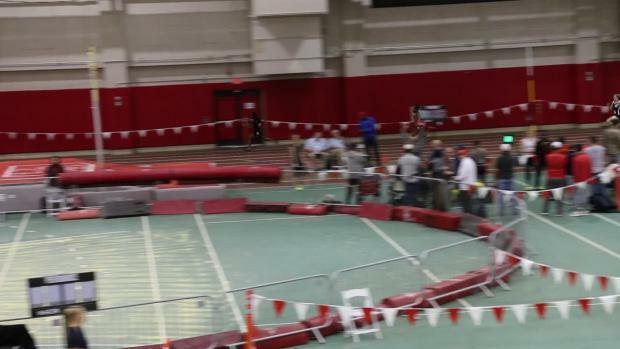 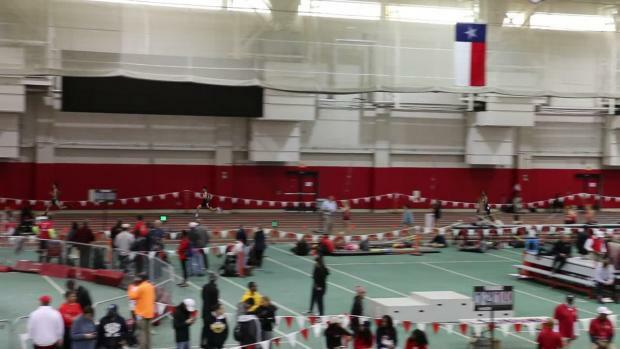 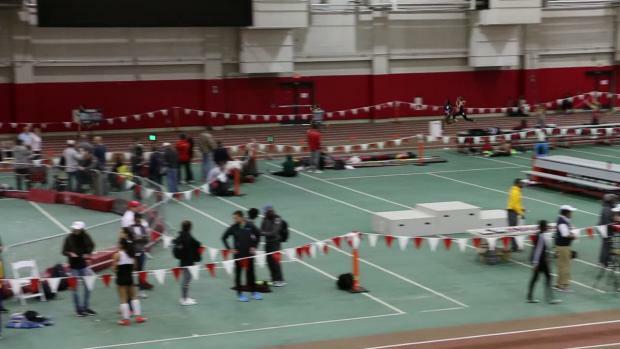 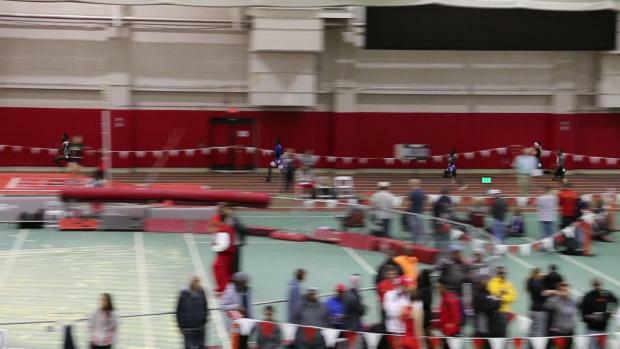 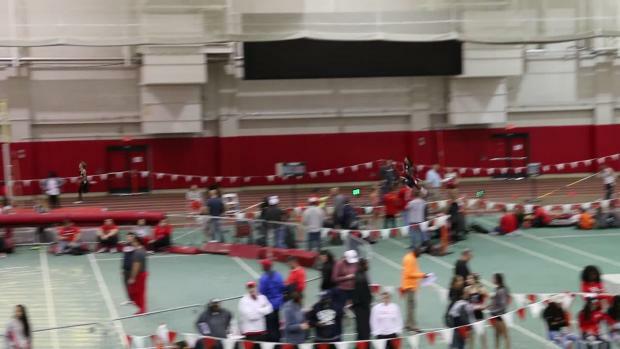 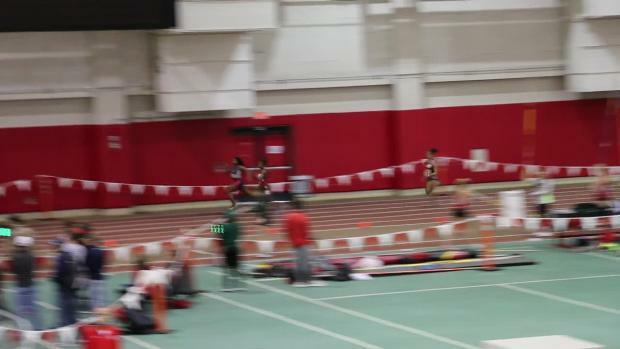 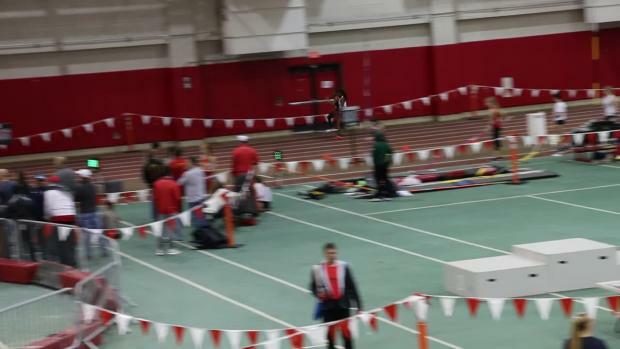 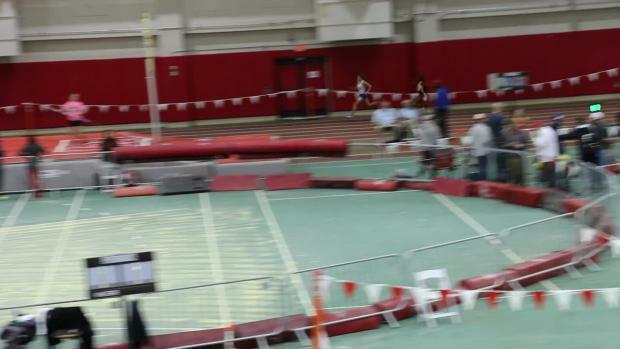 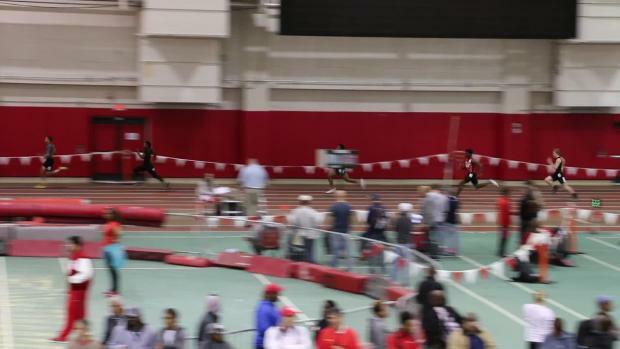 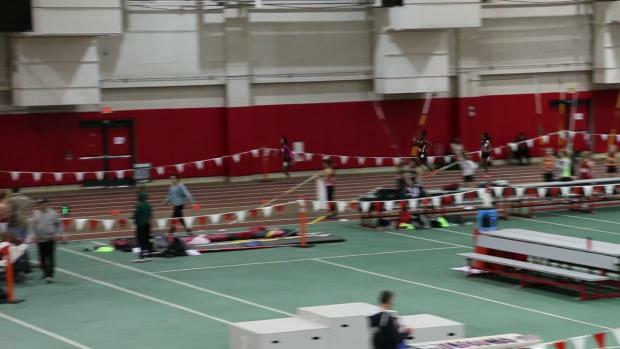 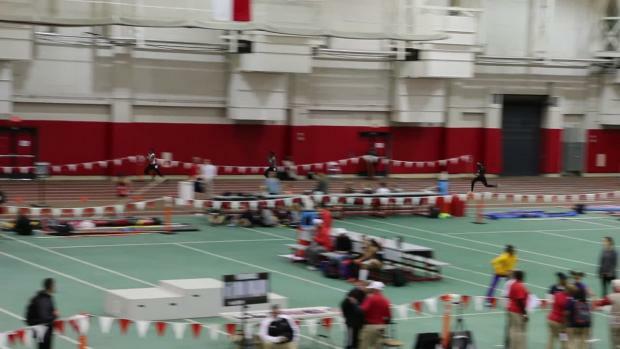 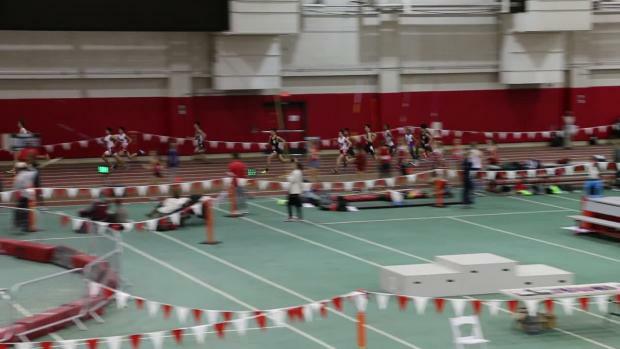 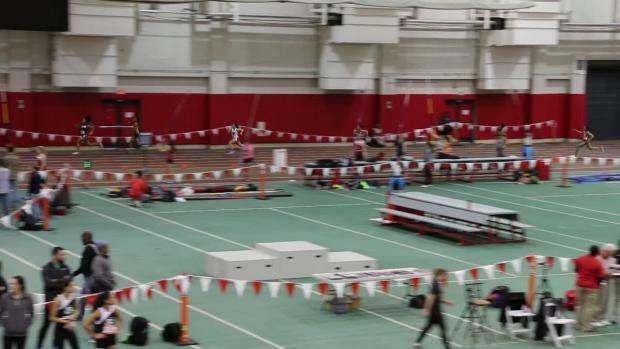 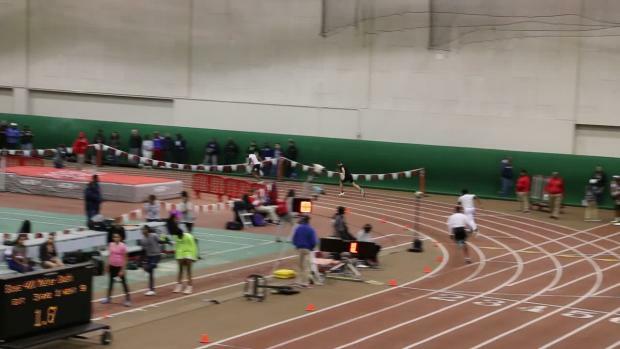 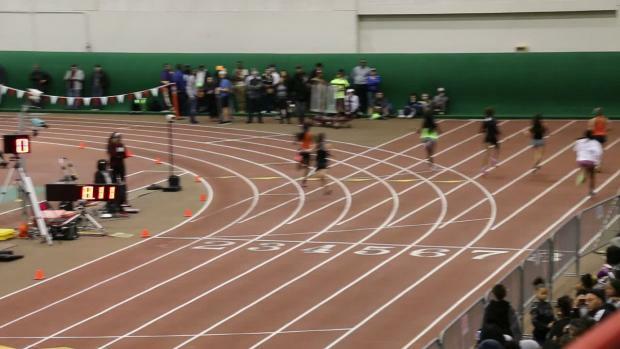 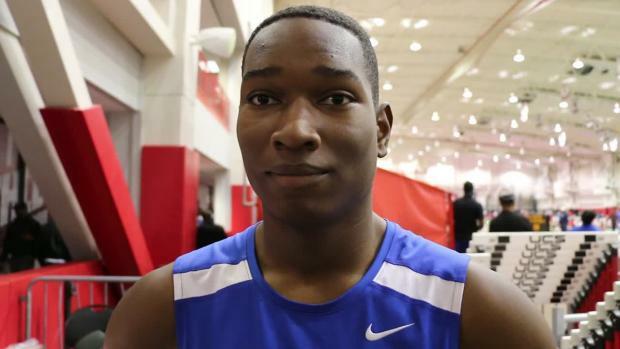 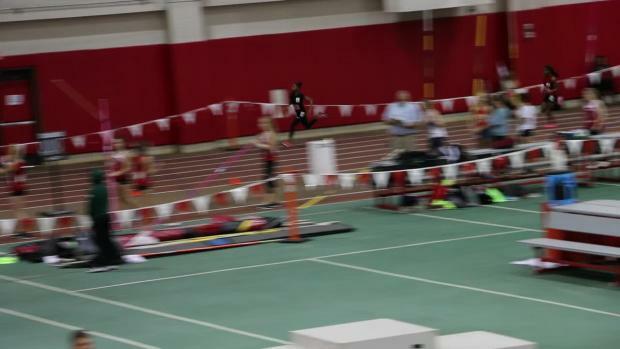 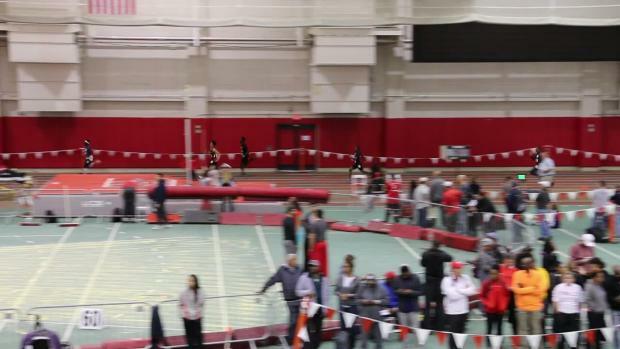 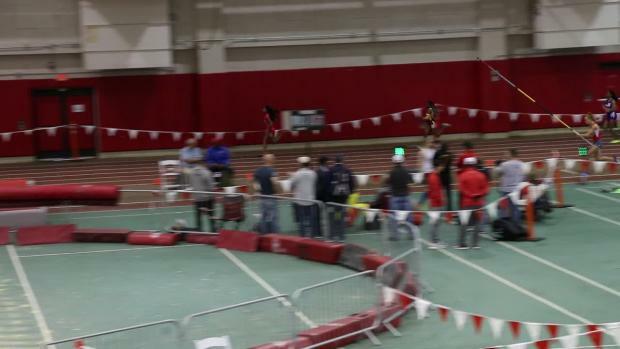 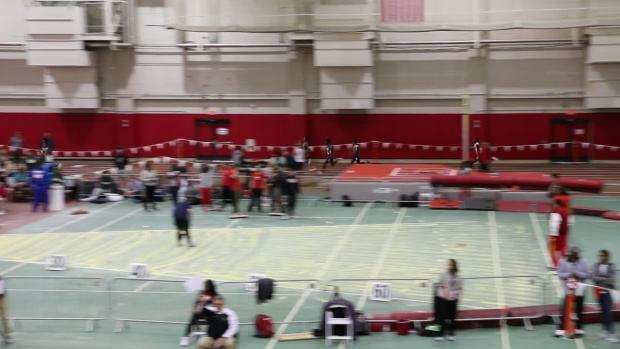 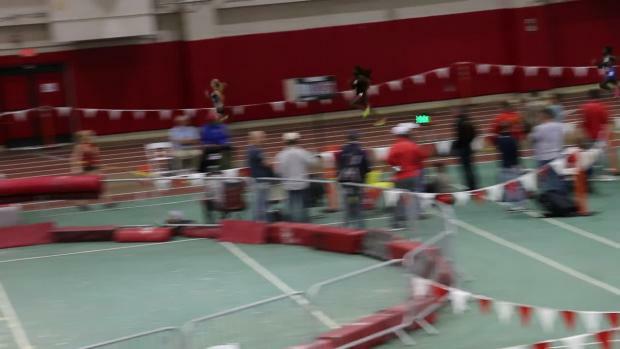 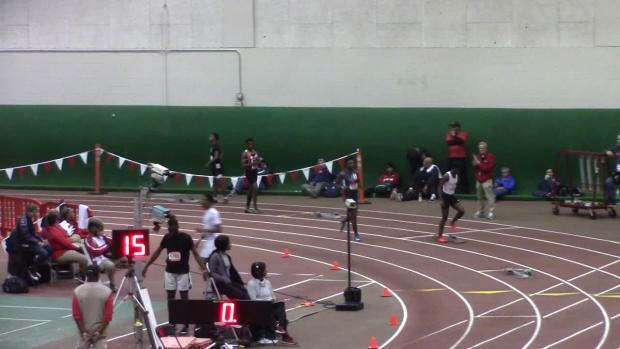 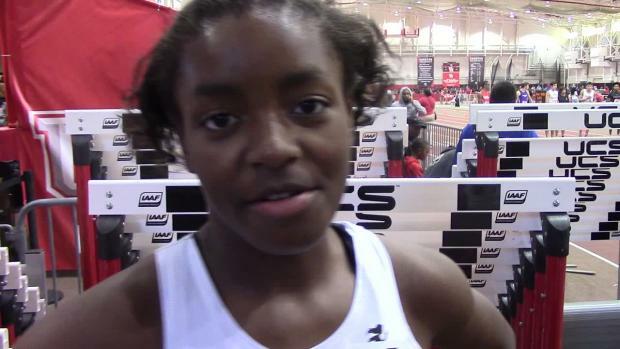 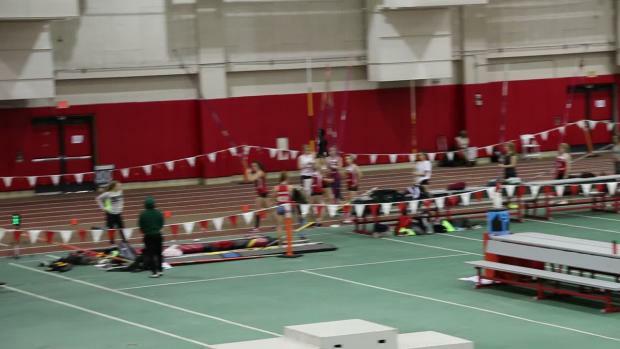 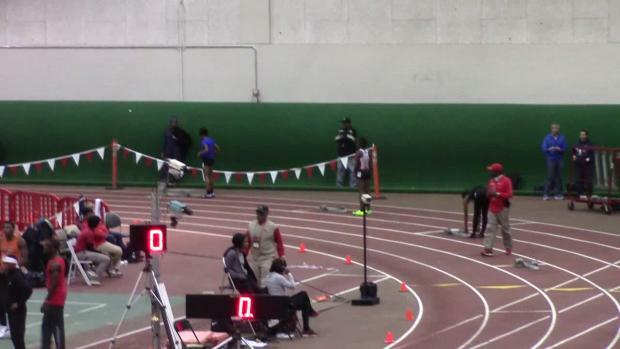 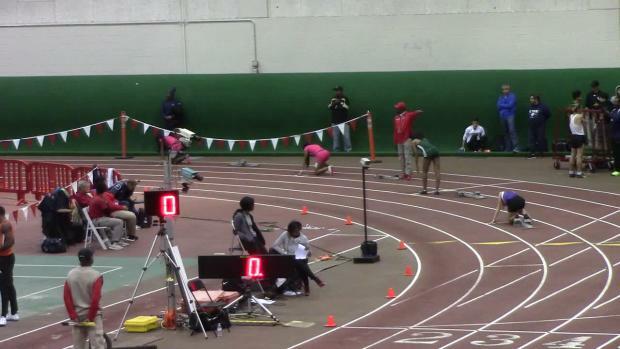 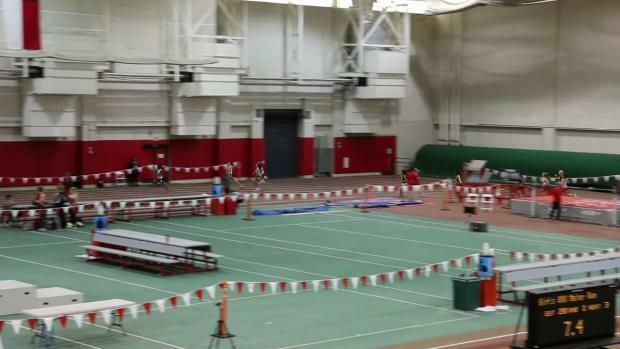 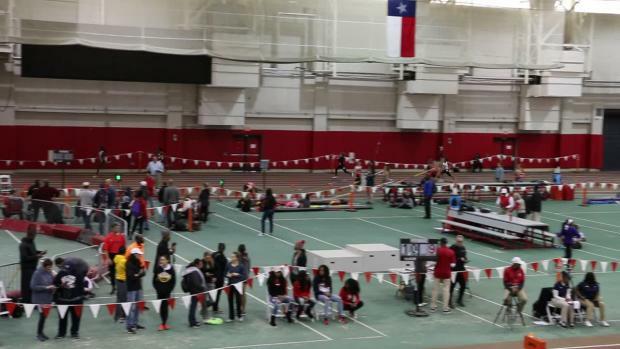 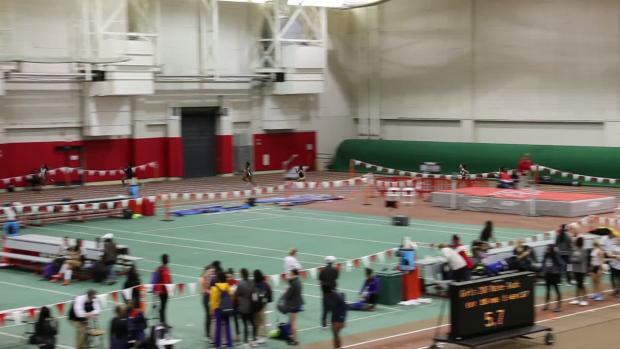 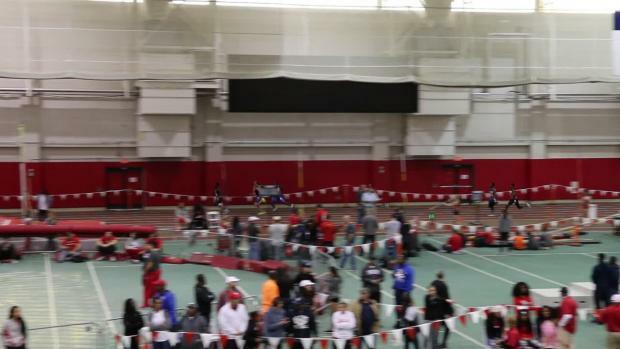 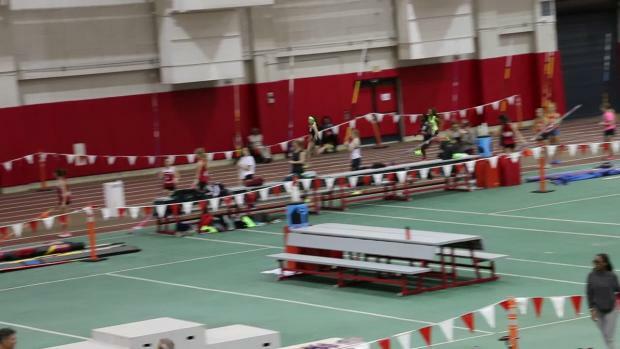 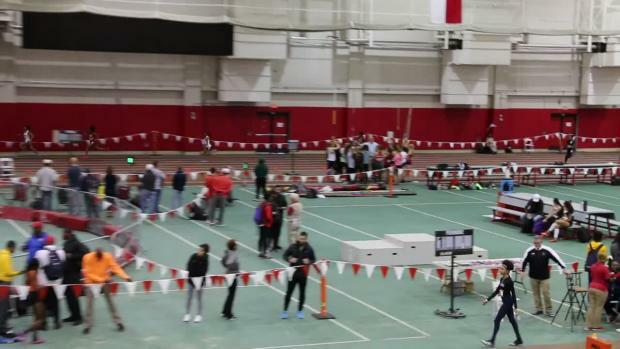 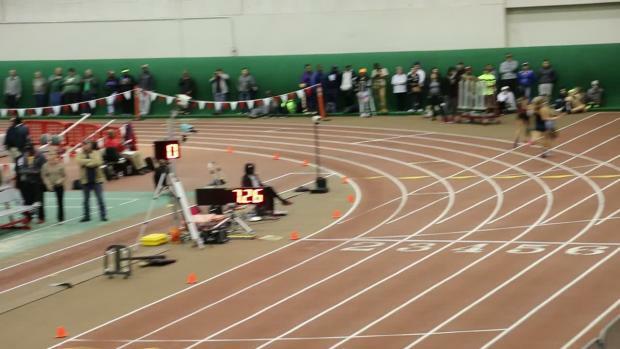 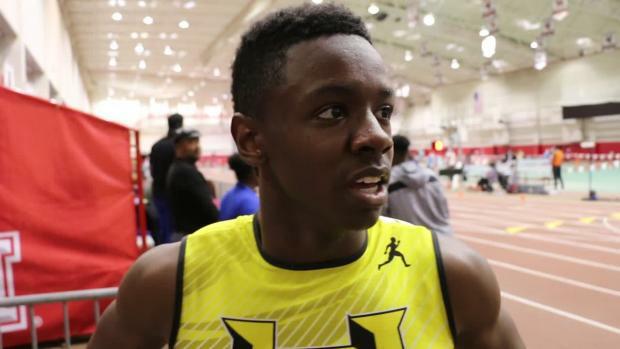 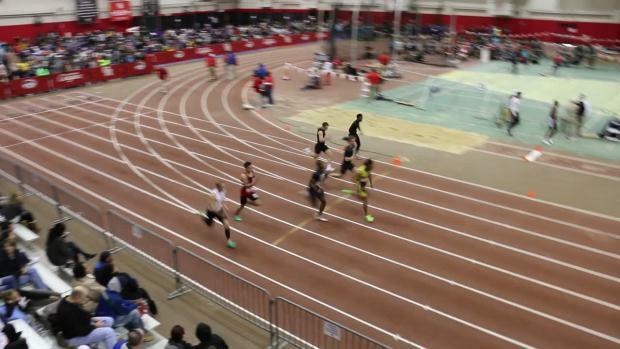 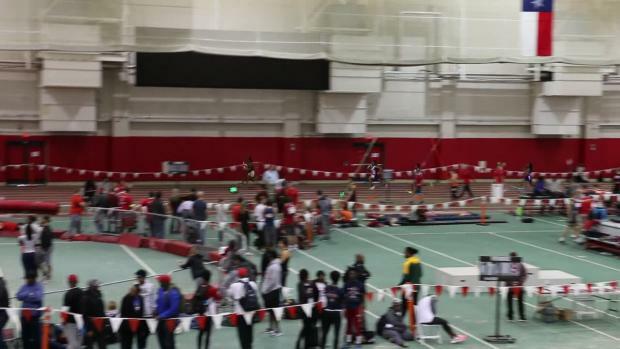 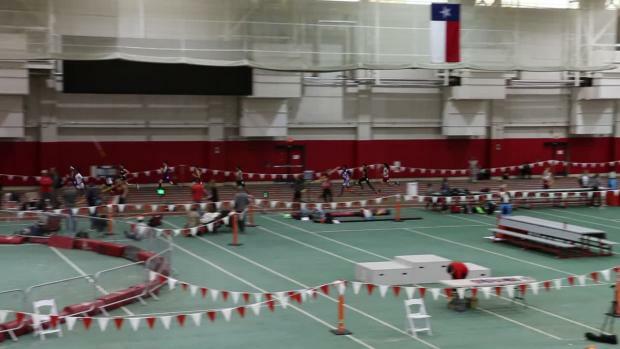 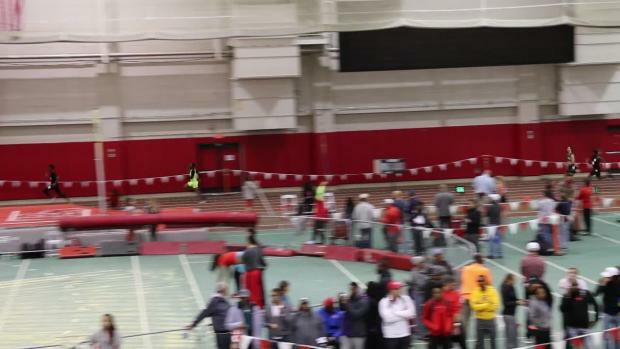 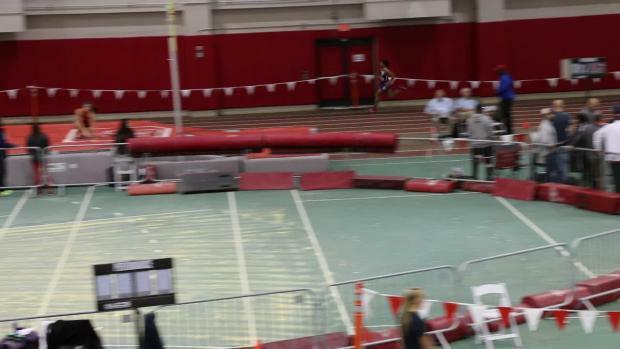 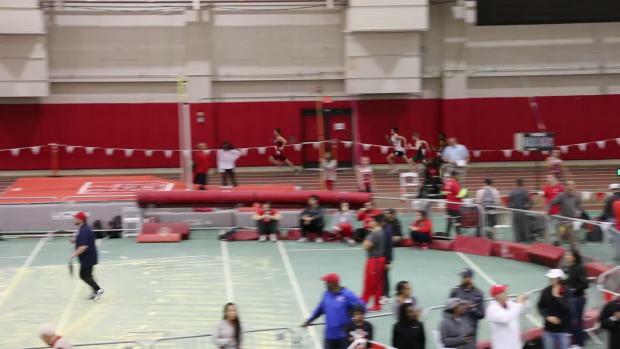 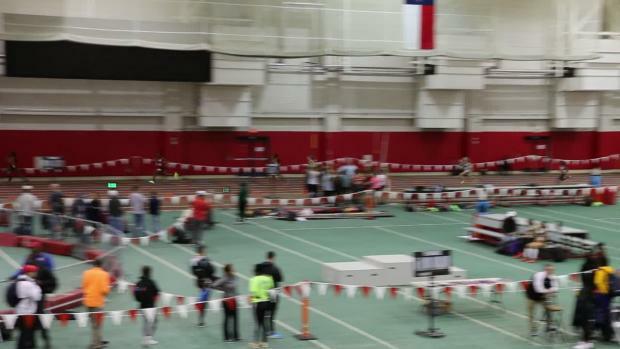 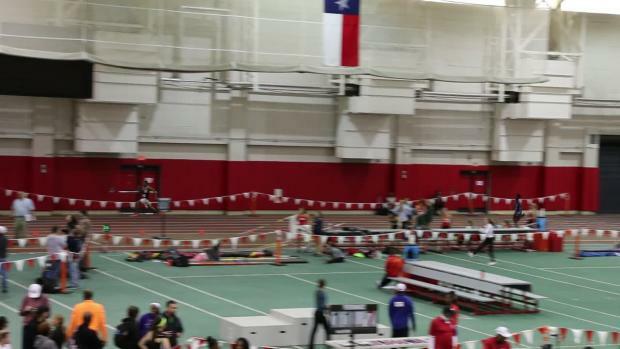 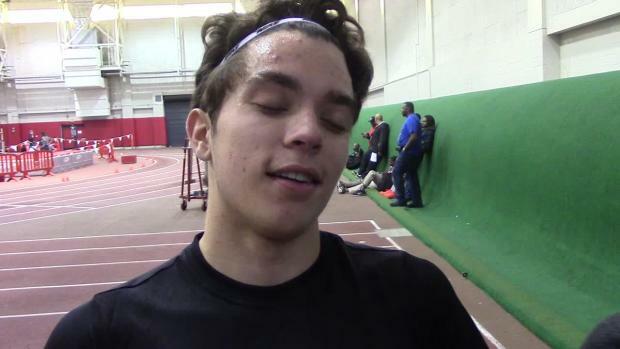 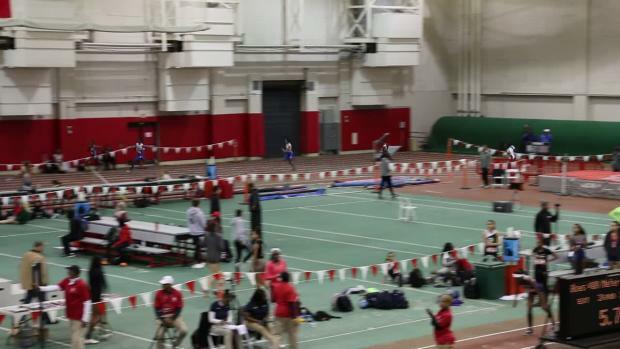 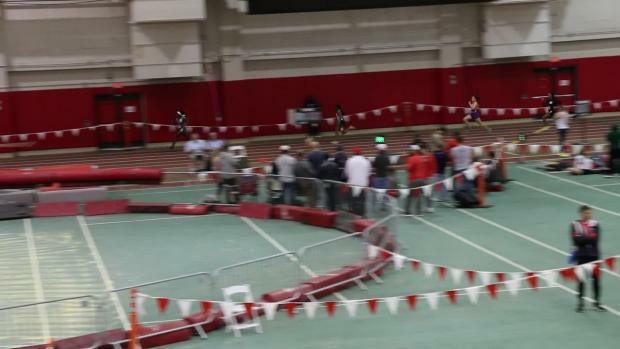 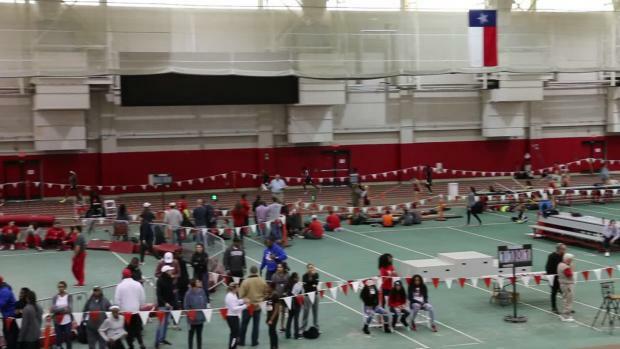 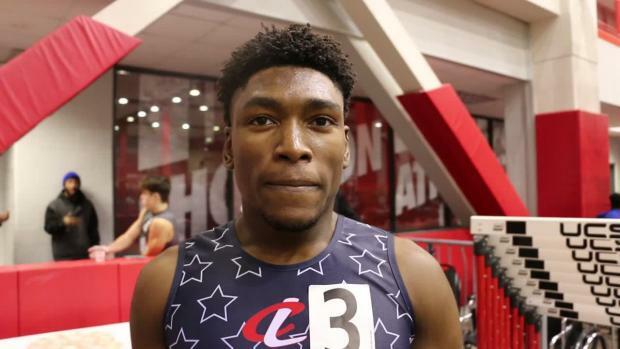 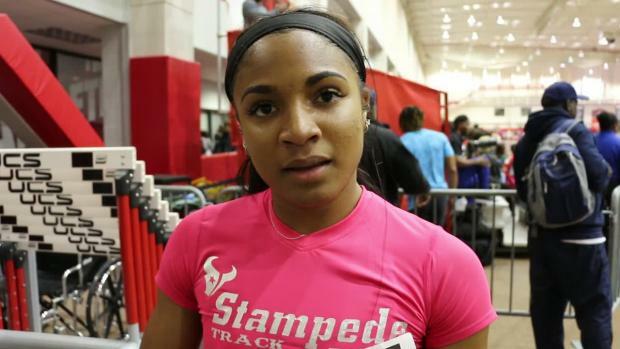 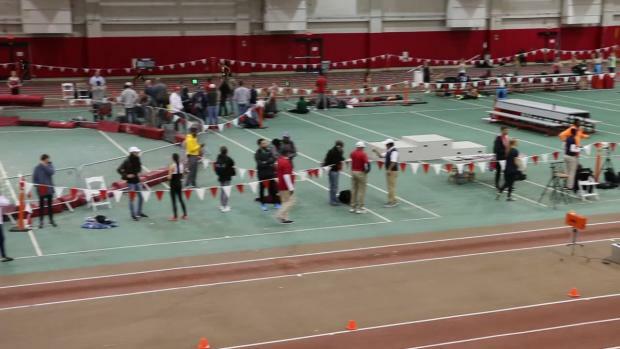 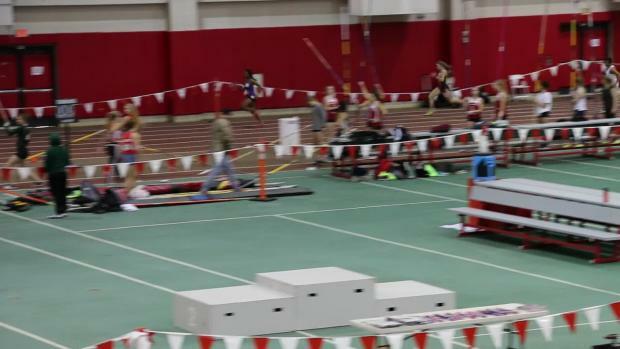 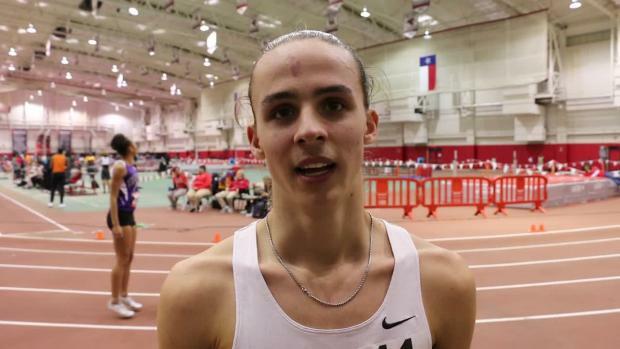 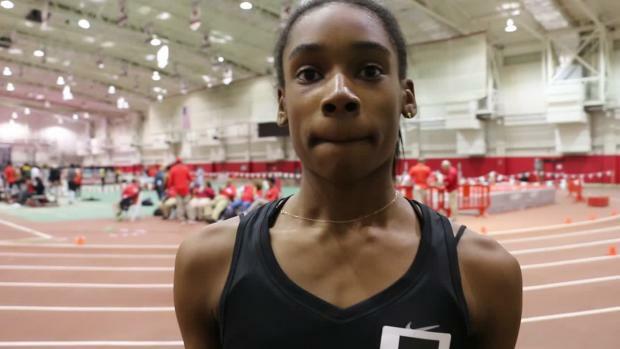 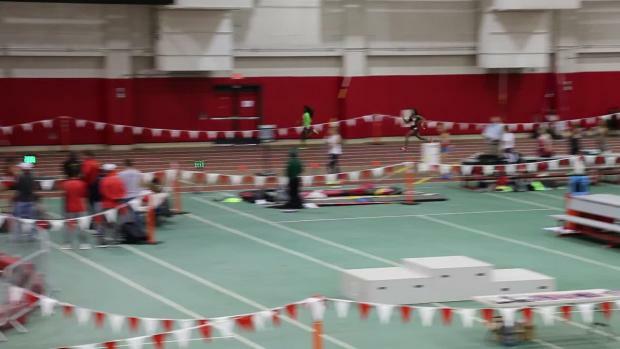 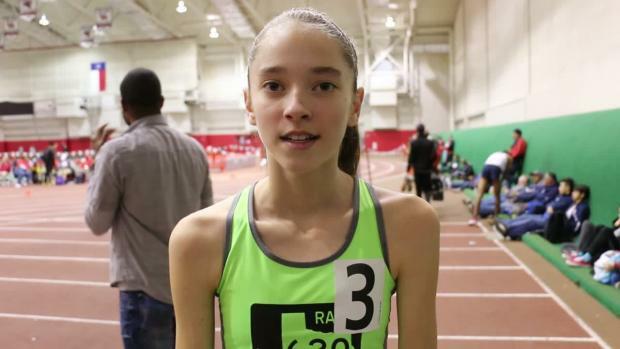 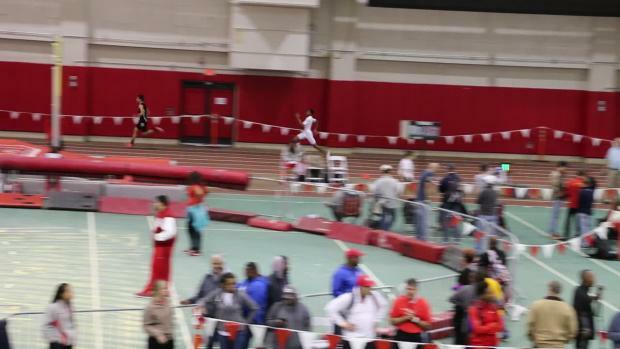 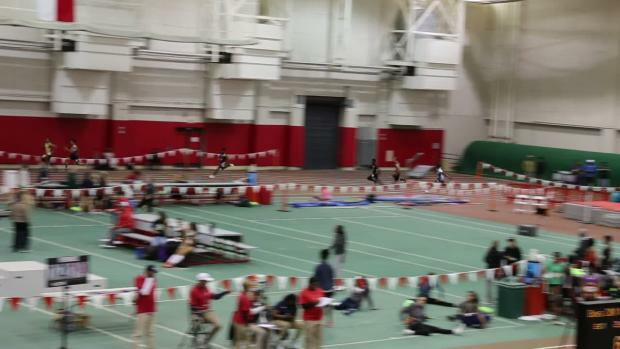 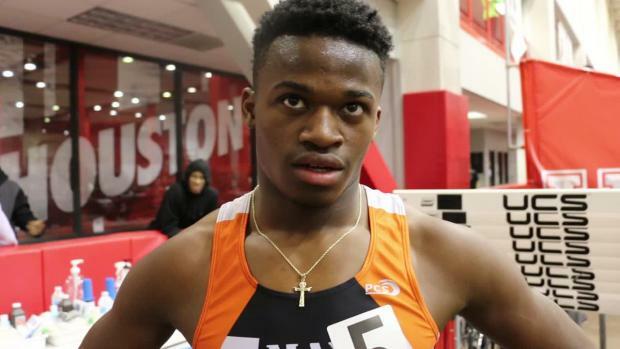 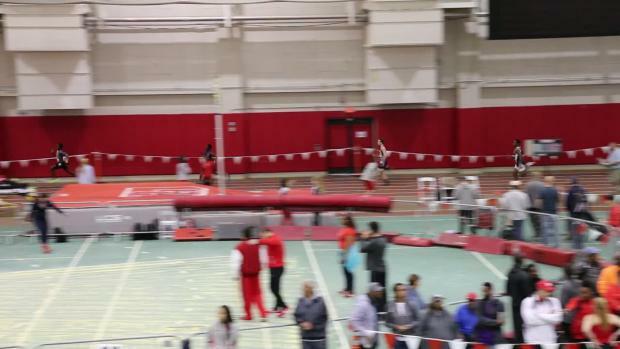 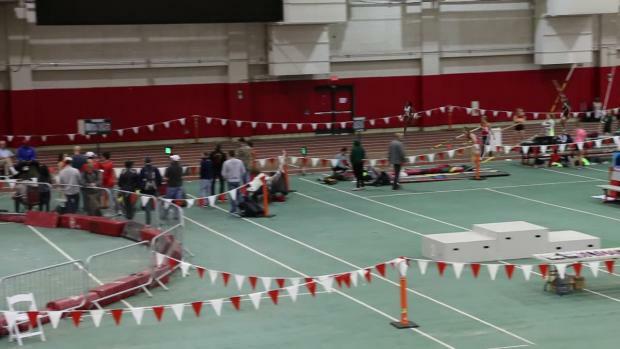 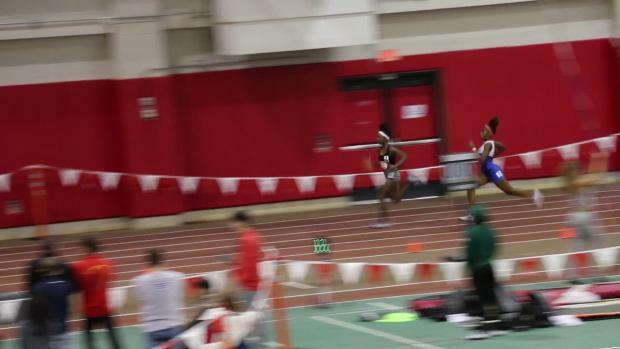 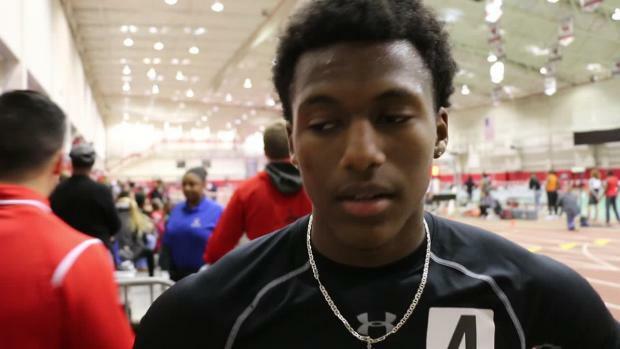 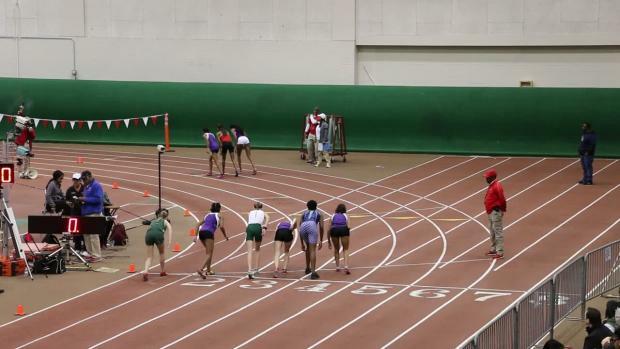 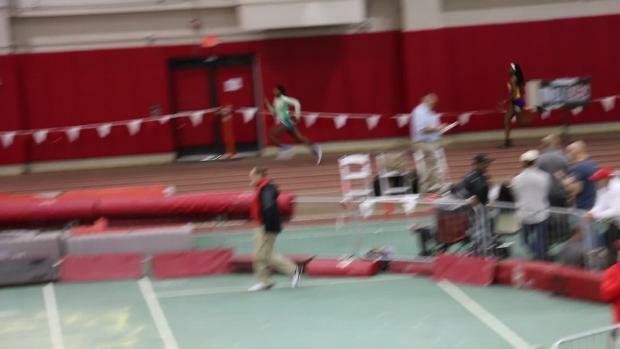 We caught up with Hall at the Carl Lewis Inv. 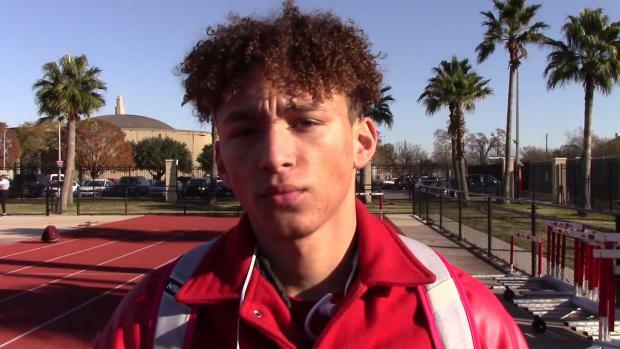 and had a conversation with him and he candidly opened up on some touchy topics.Hall, a Katy Morton Ranch alum took the JUCO route to the University of Houston and talks about never counting himself out even when others did, saying, "I never gave up on my dreams I never gave up on what I can accomplish in life." 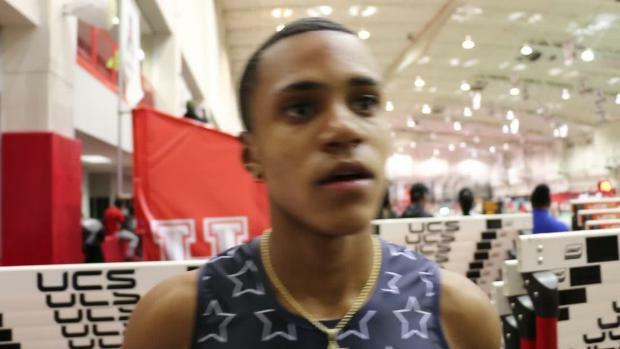 Hall also has three children and discusses how they are his motivation to keep working hard and driving to be successful.This is a long interview, but it is a packed open and candid discussion with Hall that you don't want to miss..09 - Talks 6.60 in first race of season1:21 - 2017 U of H team and individual success1:51 - Butler Community College experience2:32 - "Just because you go to JUCO that doesn't mean you are less talented"5:35 - To football/track athletes - "Keep believing"6:25 - Track and Field level of competition in Texas7:18 - Team and individual 2018 goals7:40 - Training with Cameron Burrell10:25 - "Motivated to push harder by my three children"11:47 - "Nothing is ever over, always believe in yourself"
Watch a blazing fast 2016 boys 60m finals race. 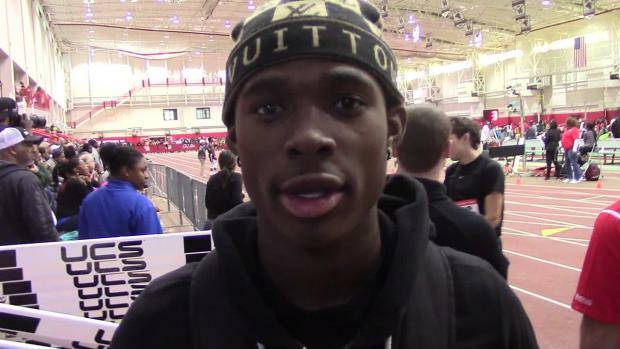 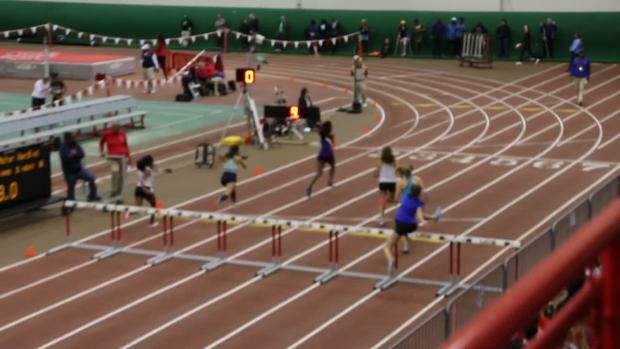 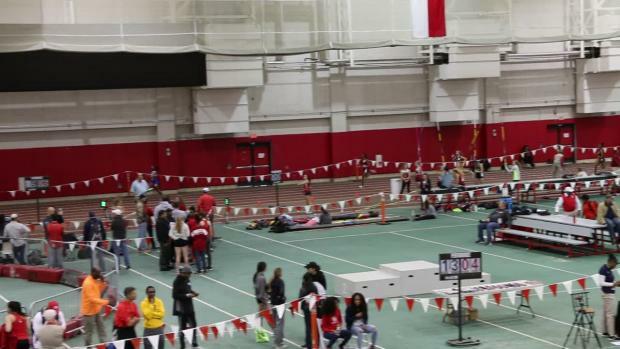 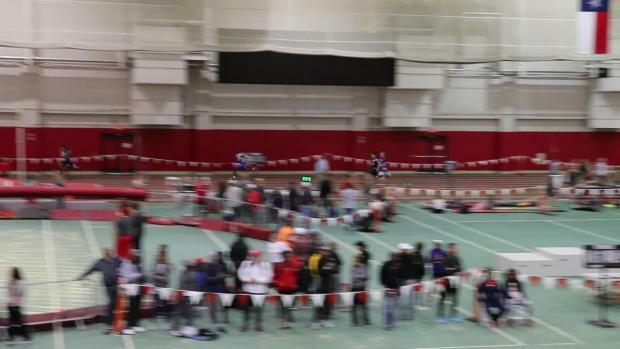 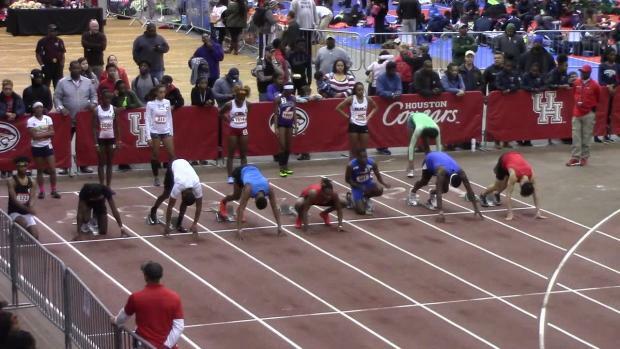 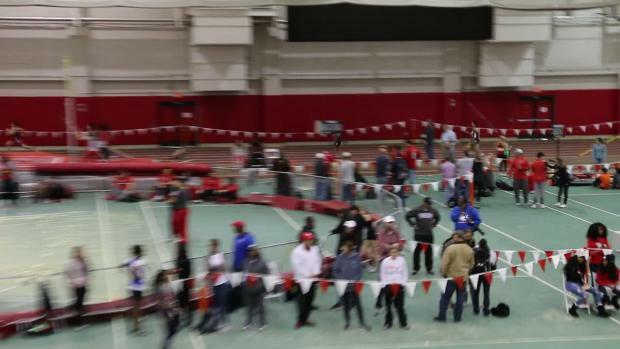 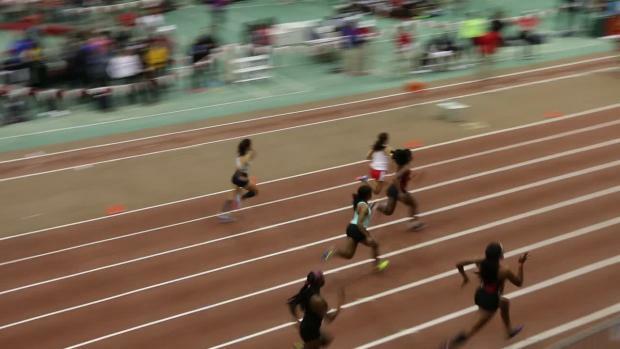 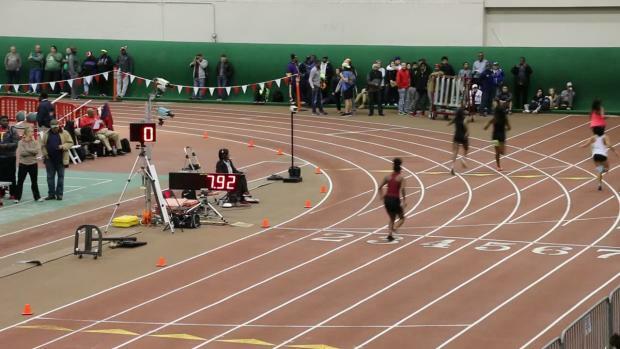 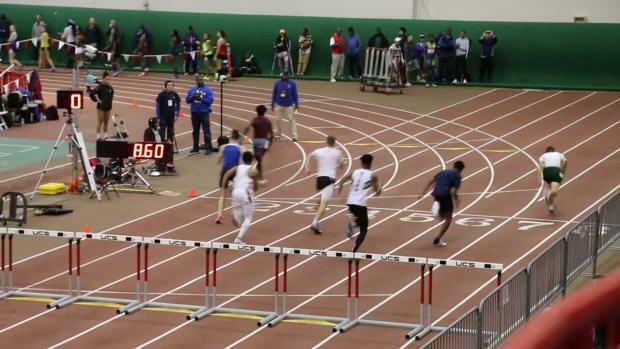 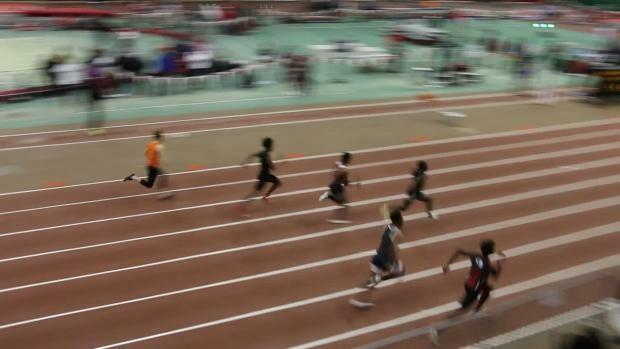 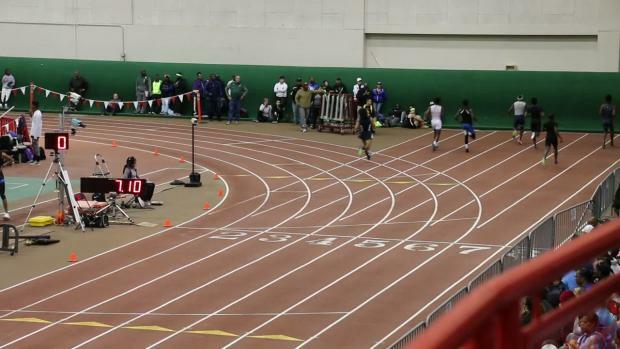 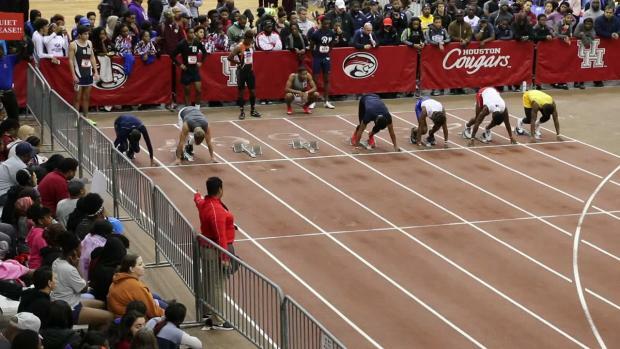 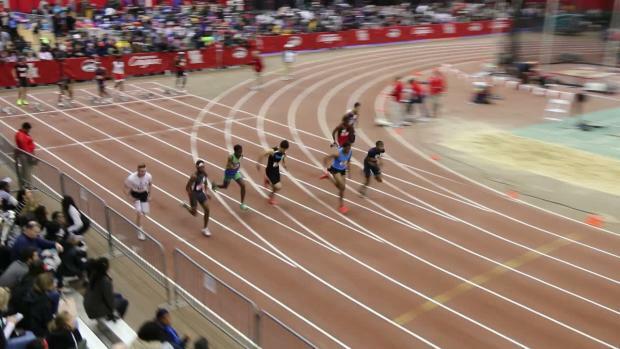 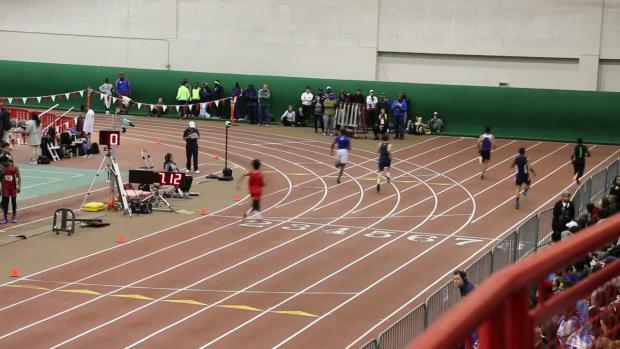 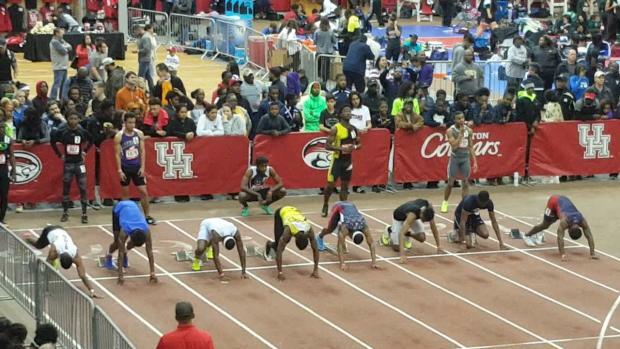 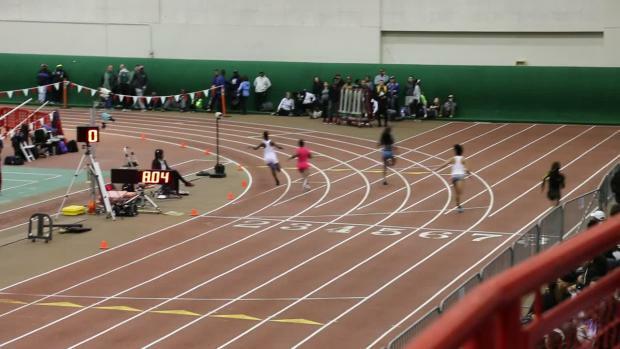 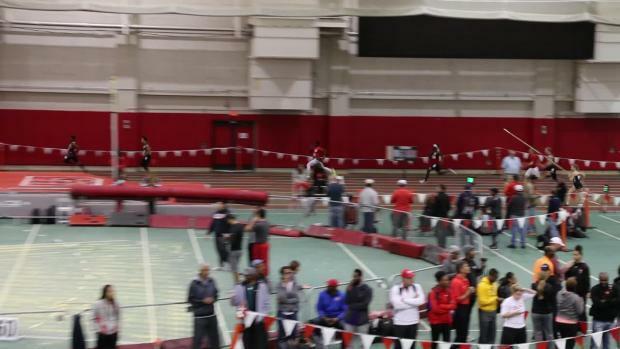 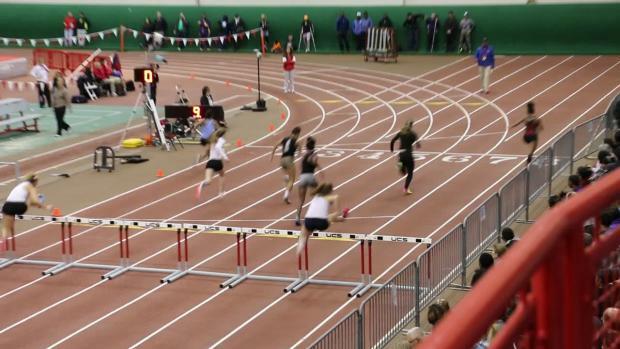 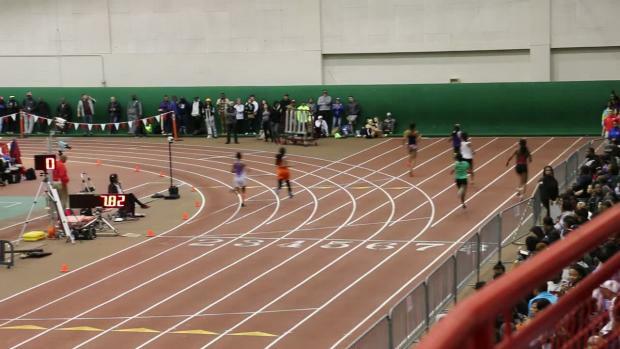 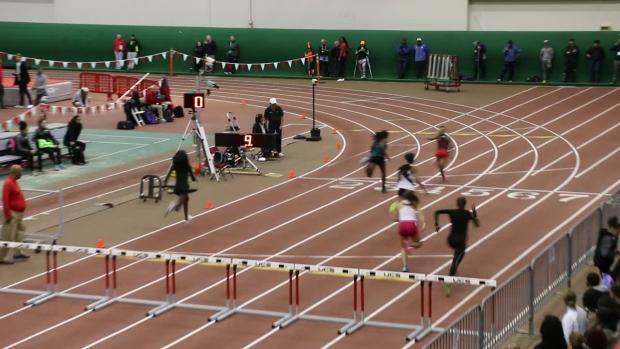 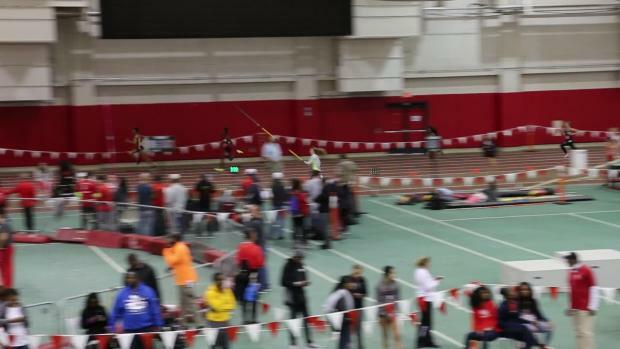 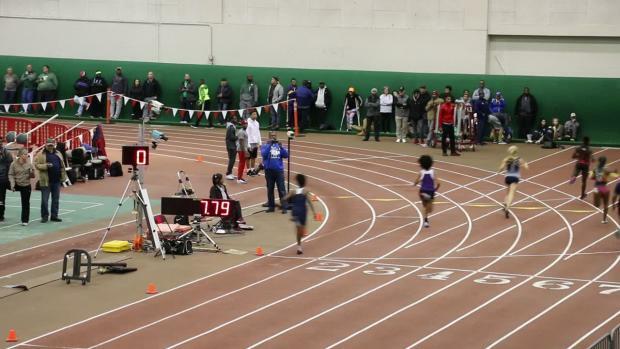 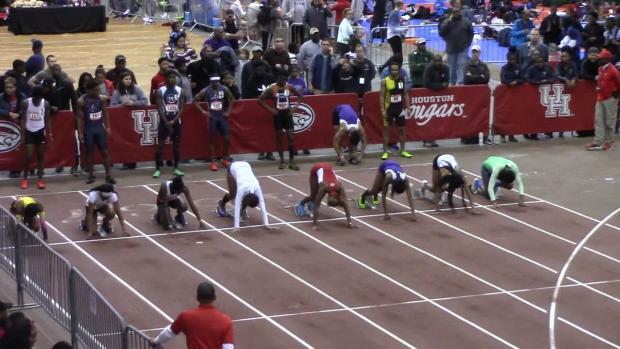 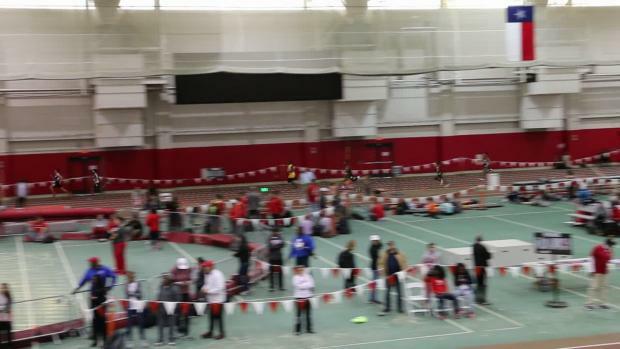 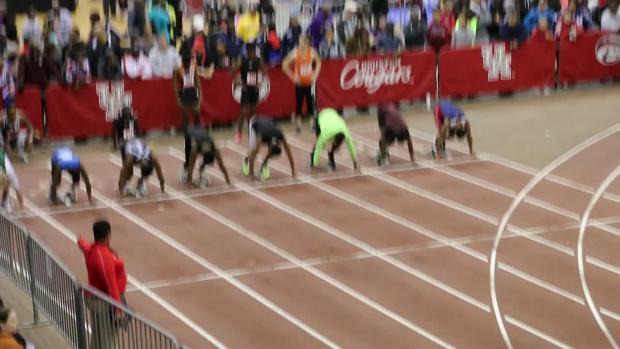 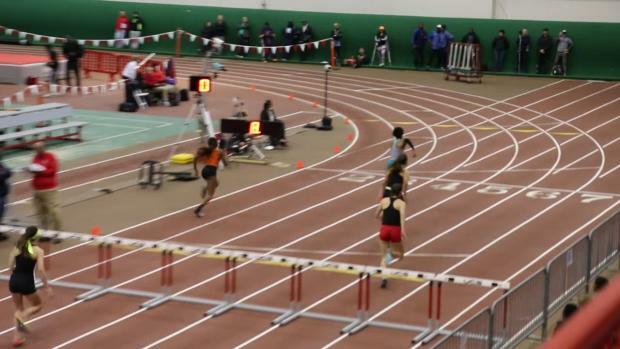 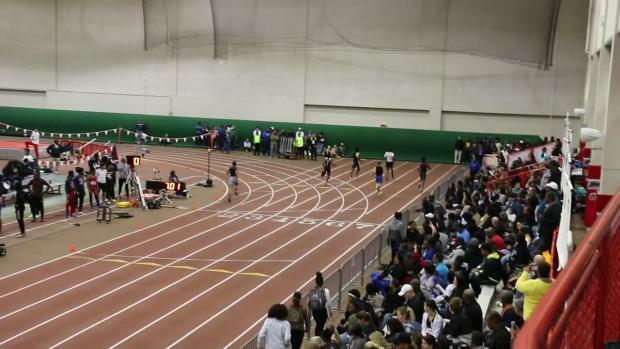 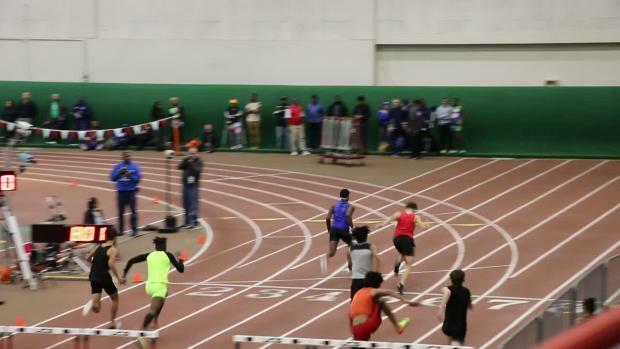 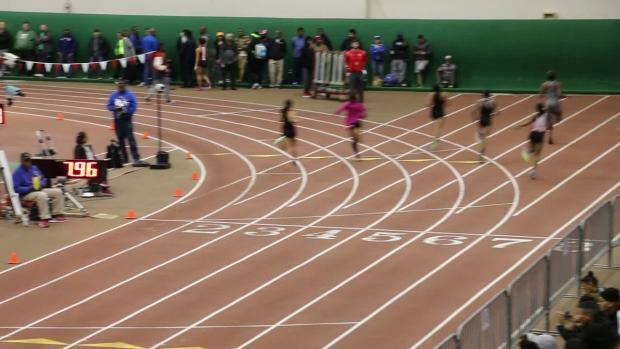 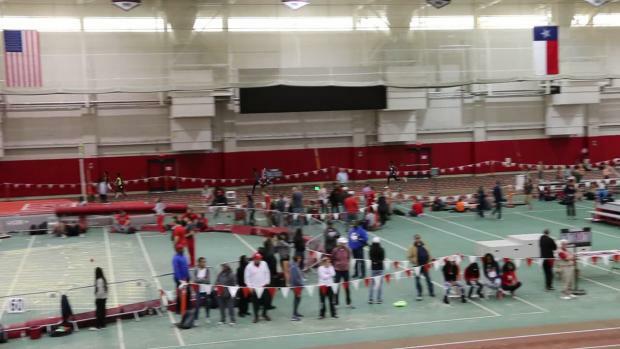 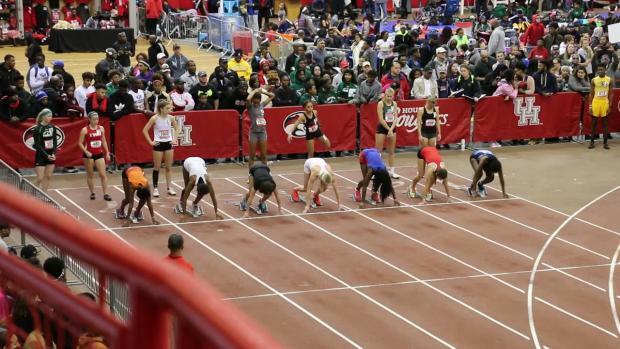 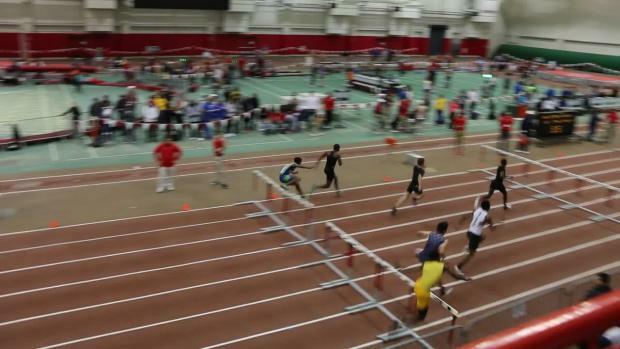 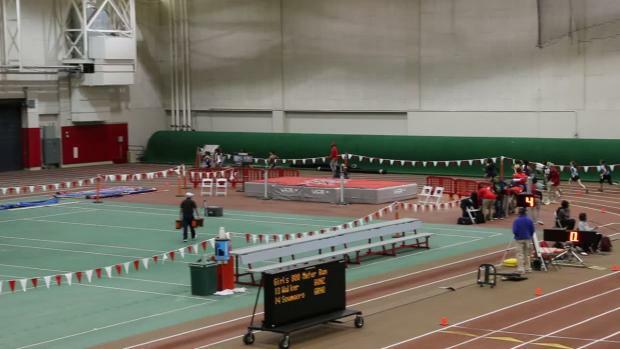 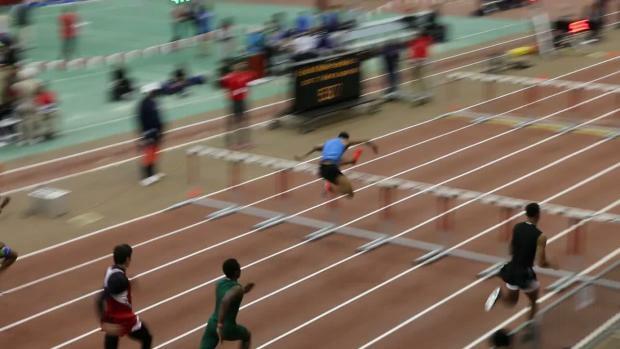 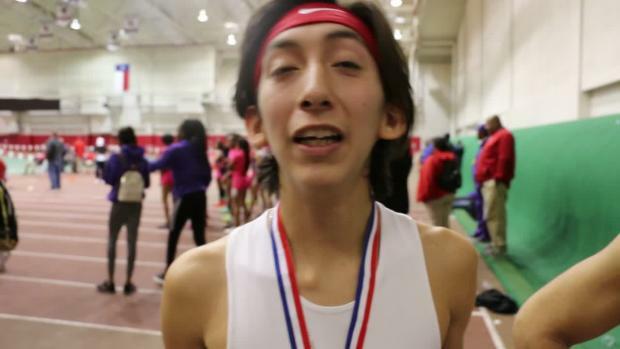 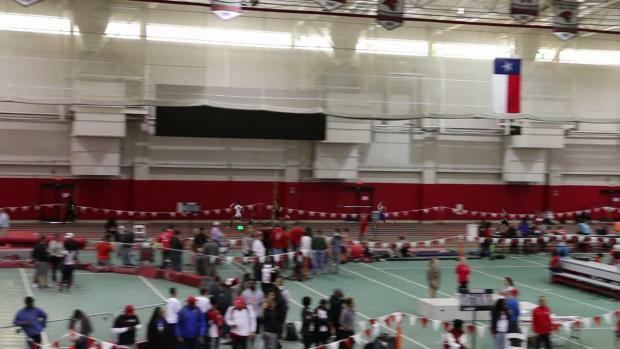 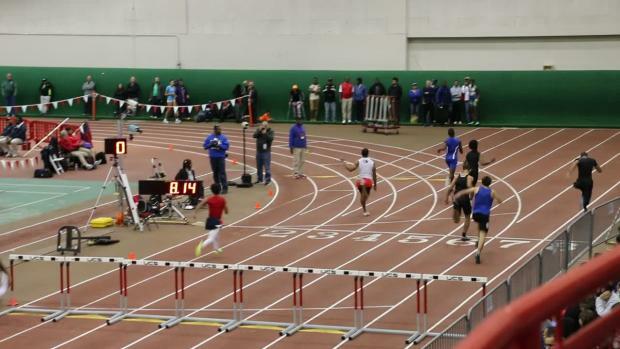 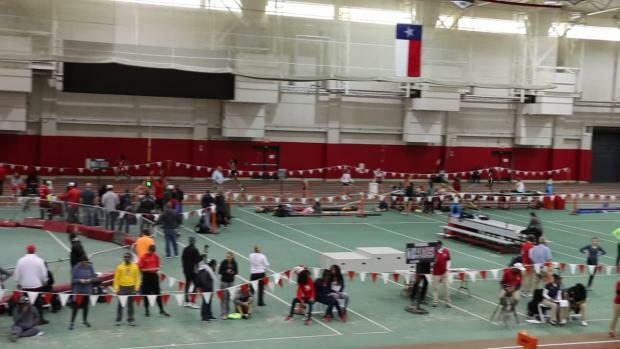 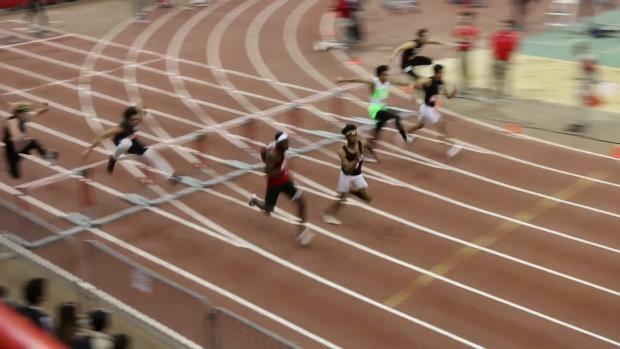 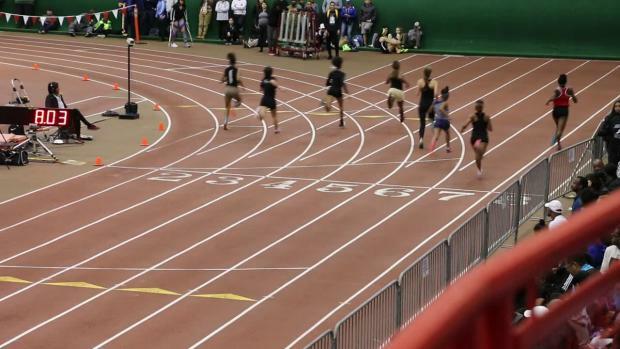 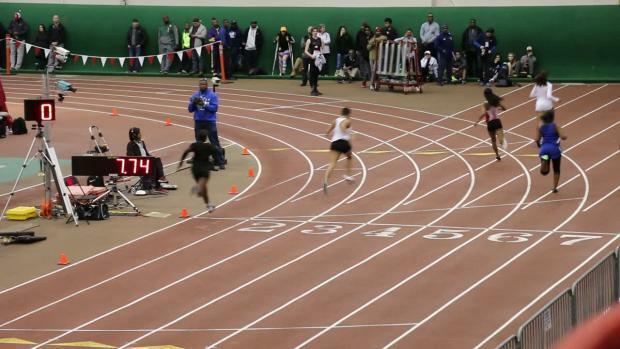 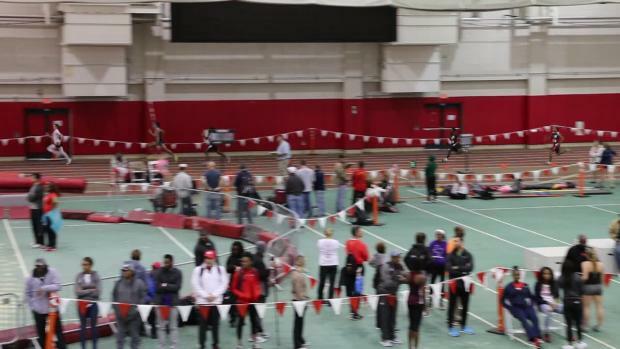 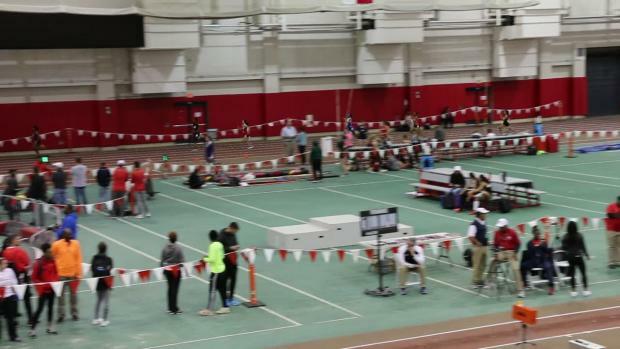 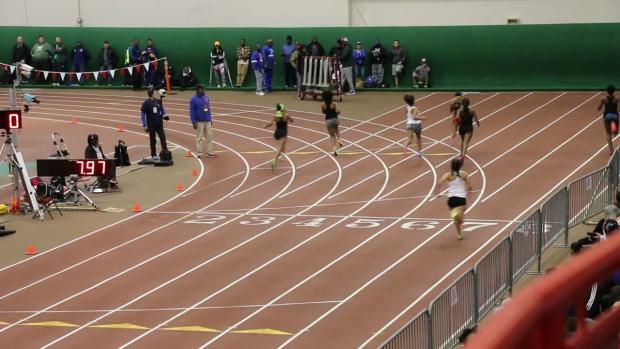 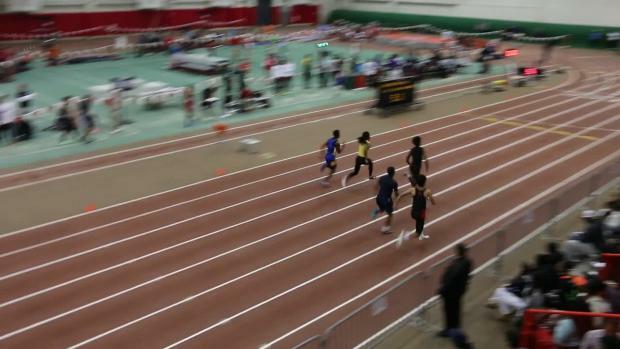 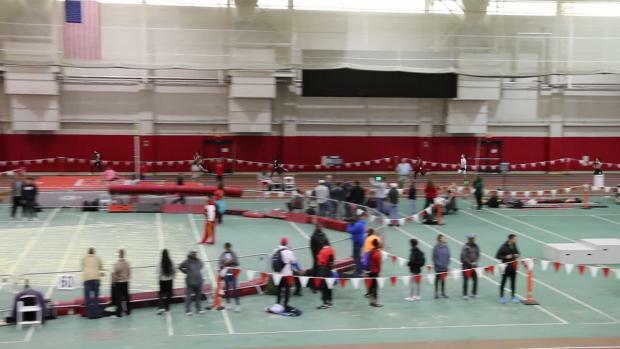 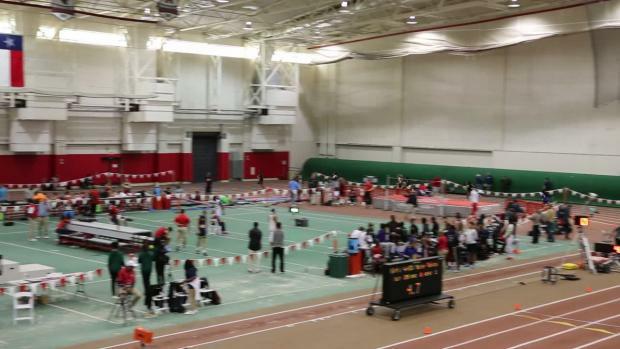 See what the athletes said from the Carl Lewis Inv. 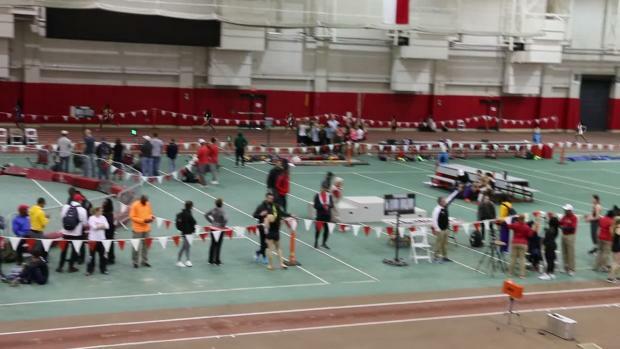 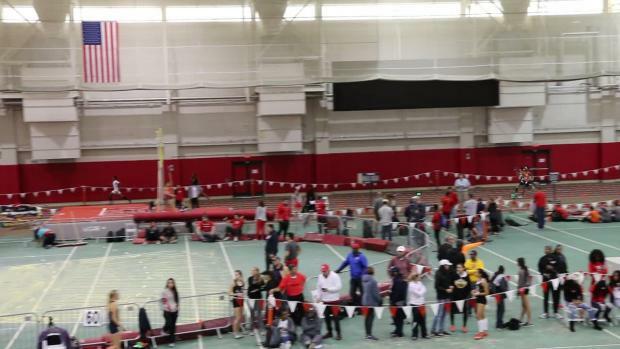 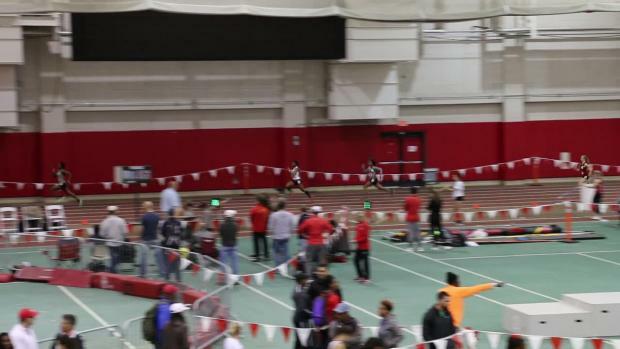 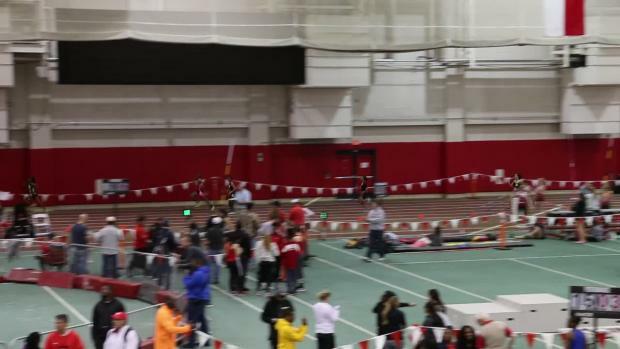 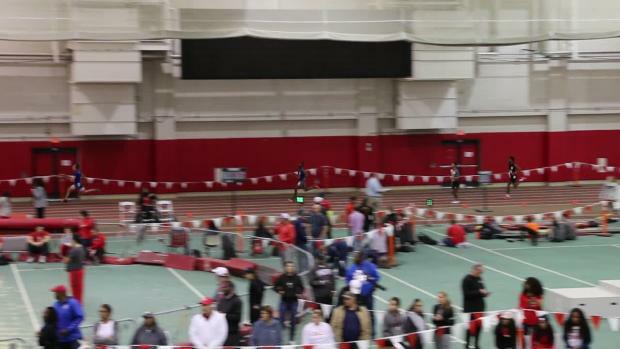 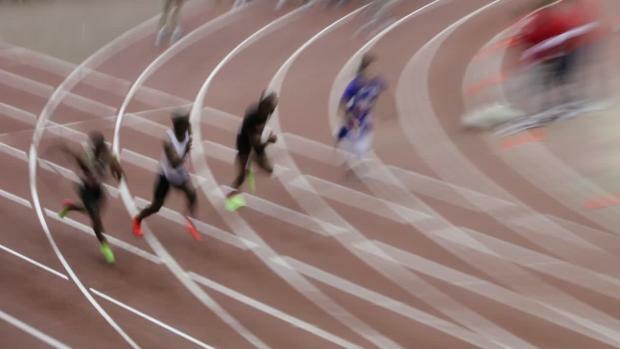 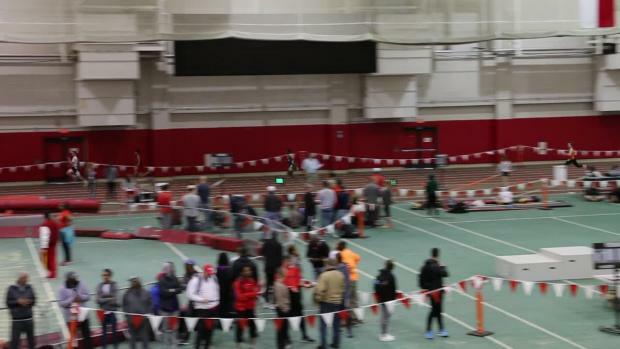 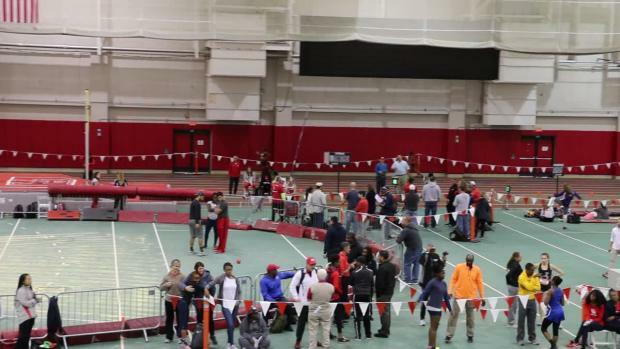 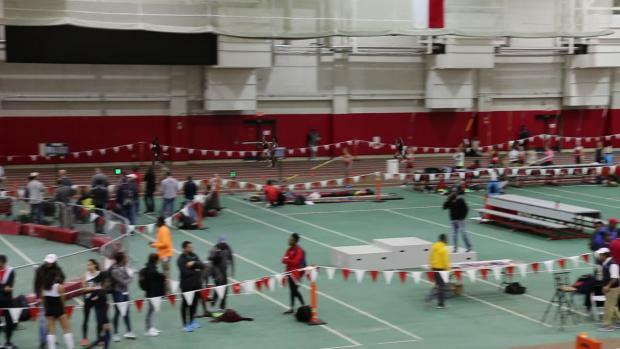 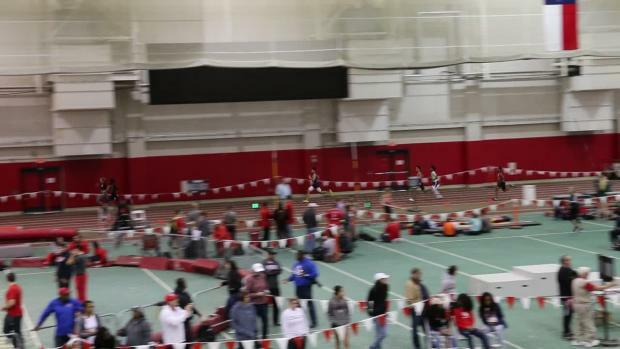 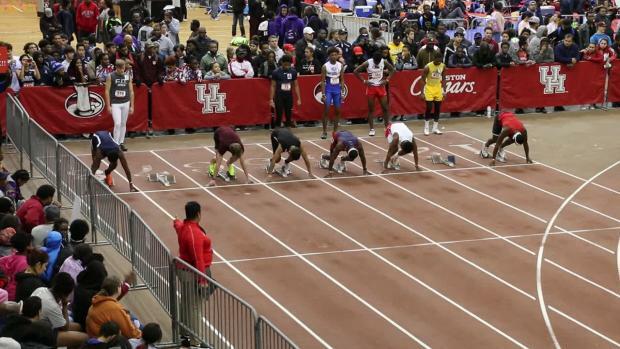 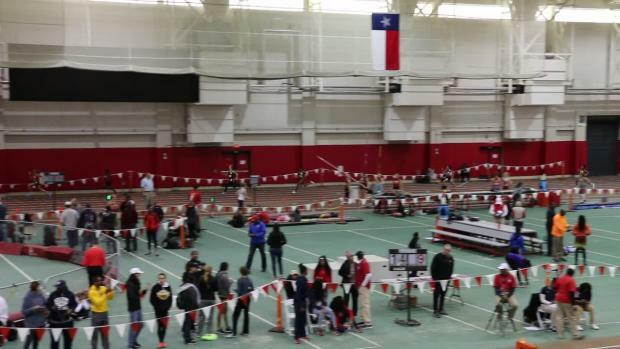 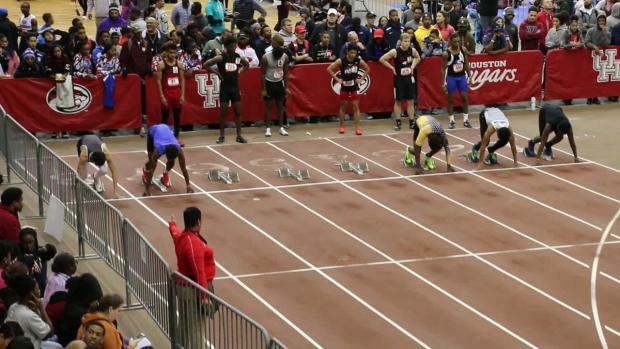 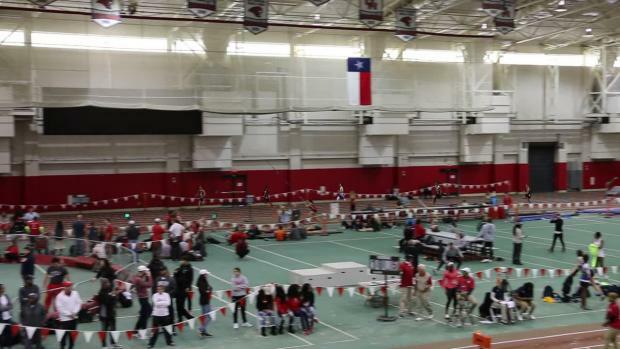 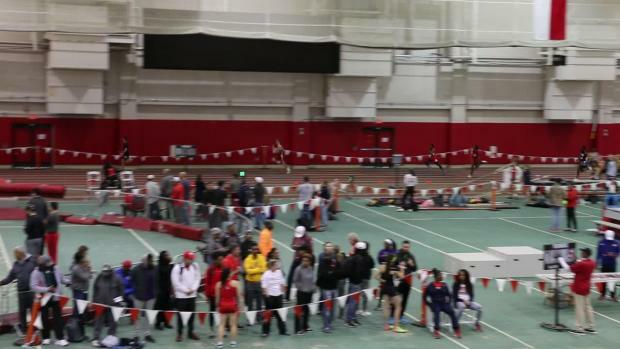 Check to see your race at the 2018 Carl Lewis Inv. 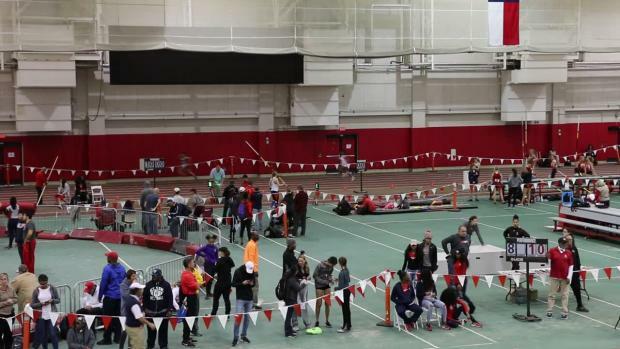 Check out over 1,700 photos by Casey Chancellor. 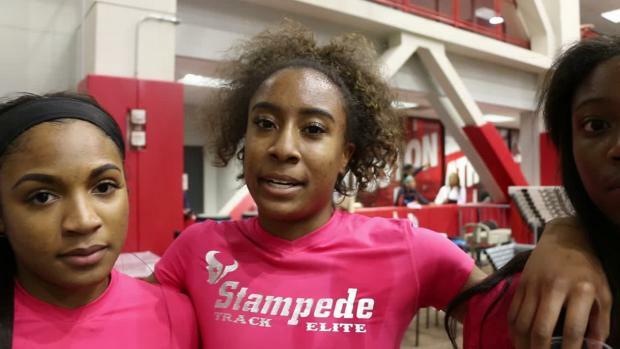 Freshman Daphne Williams, Heritage Hall (OK) gets the victory in Houston.